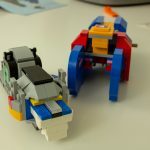 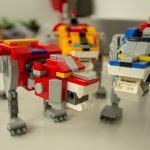 I still don’t think I’m that guy, but I loved building the Voltron set and I’ve picked up a new level of respect for LEGO and LEGO fans in the process. 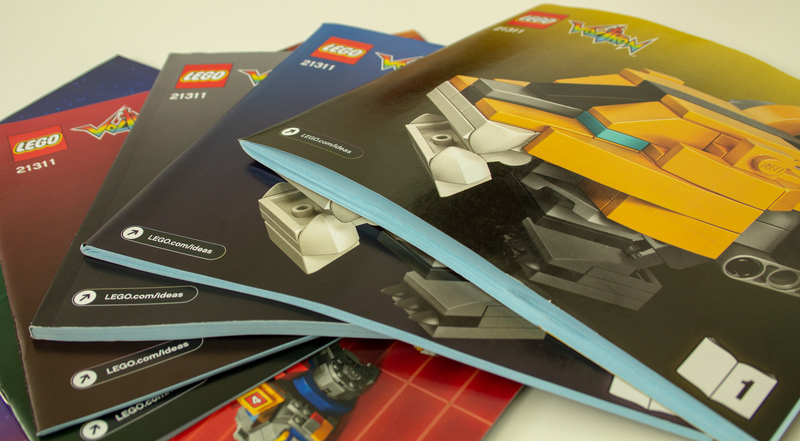 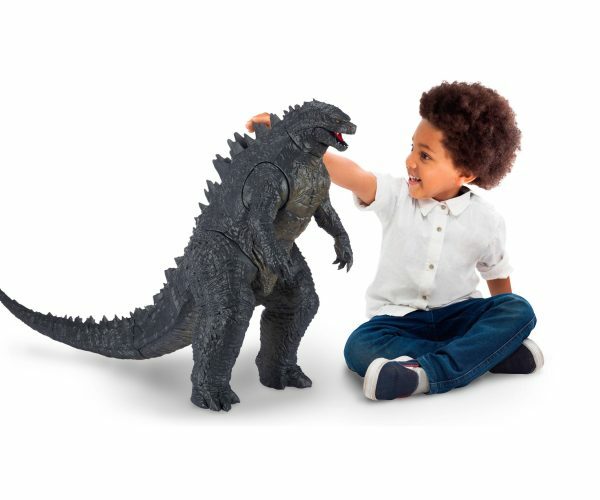 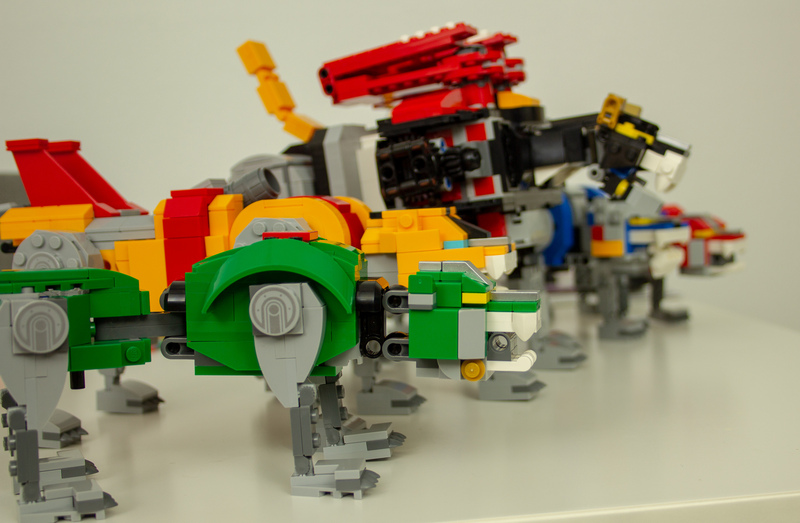 The set includes over 2,321 pieces. 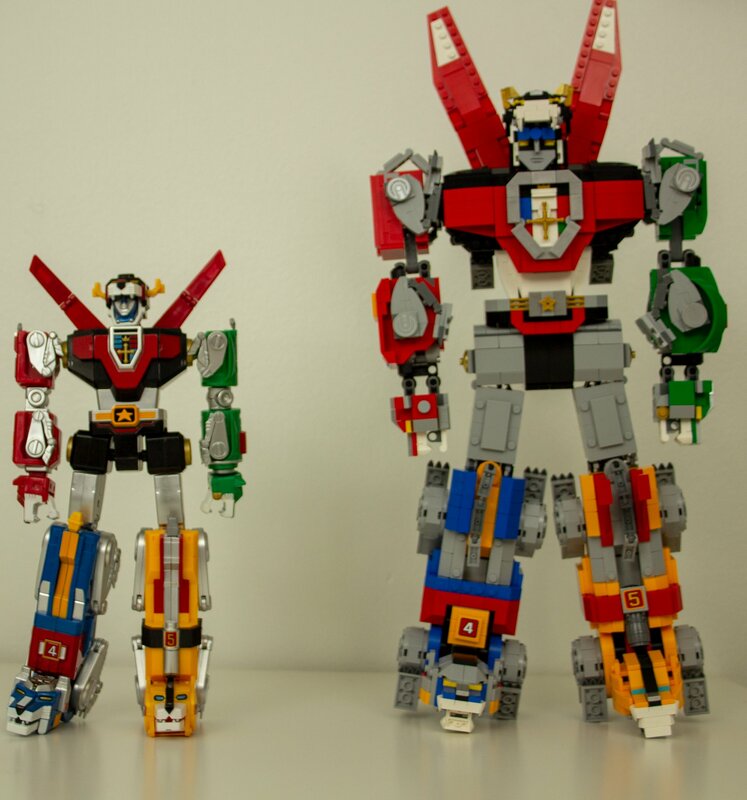 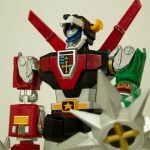 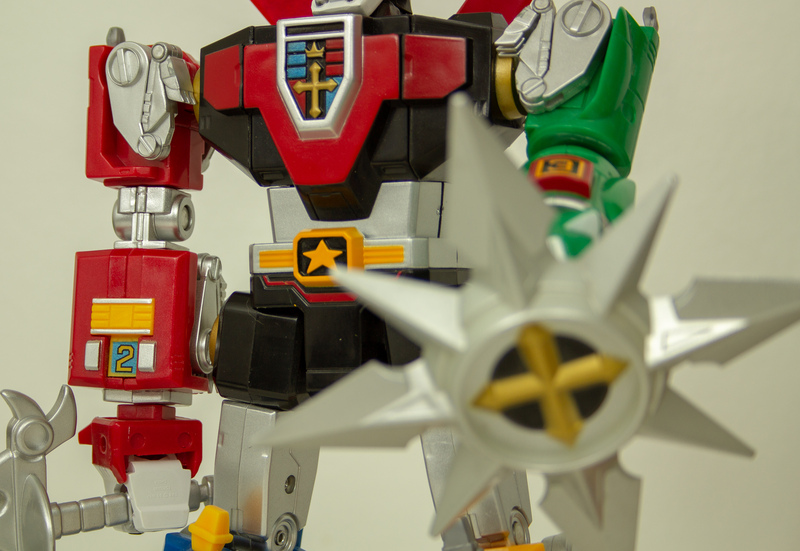 The assembled Voltron toy measures over 15-inches (40cm) high, 5-inches (14cm) long and 8-inches (21cm) wide. 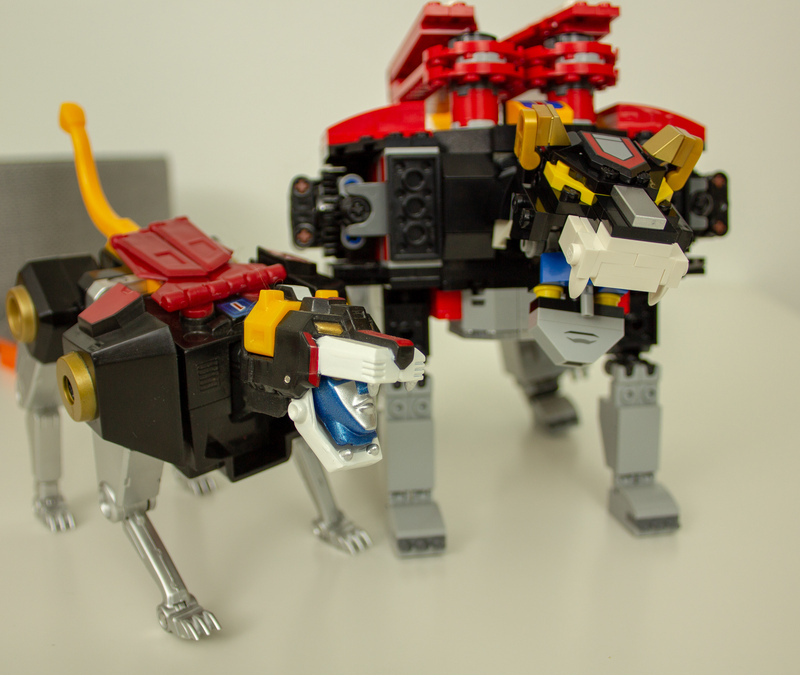 The black lion measures over 6-inches (17cm) high, 8-inches (22cm) long and 5-inches (15cm) wide. 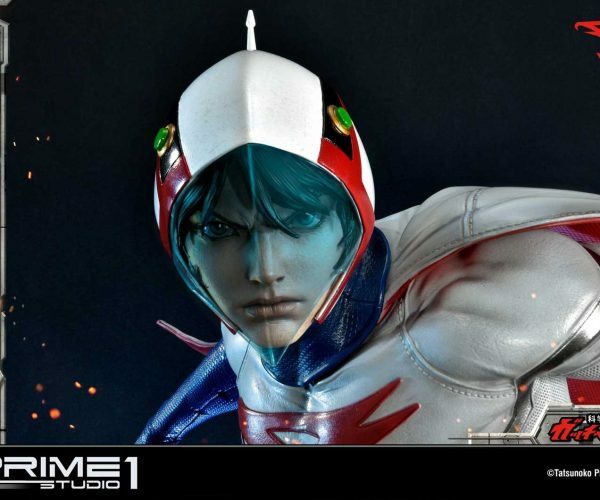 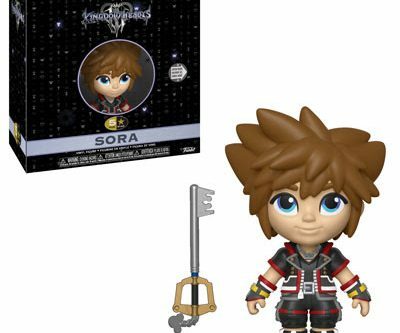 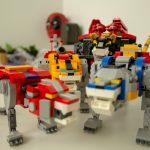 The whole set costs $180 at retail. 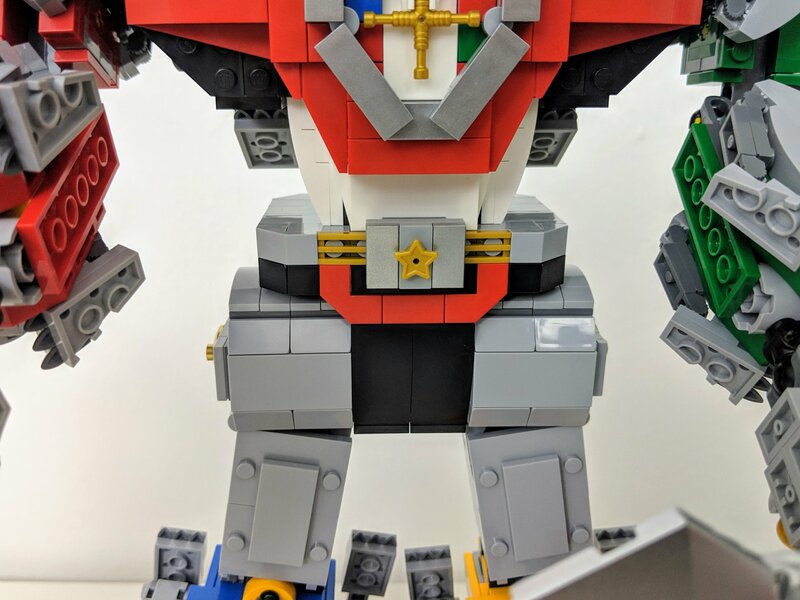 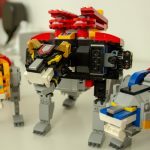 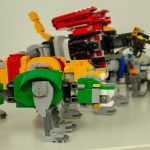 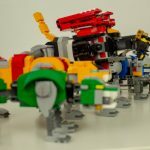 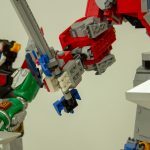 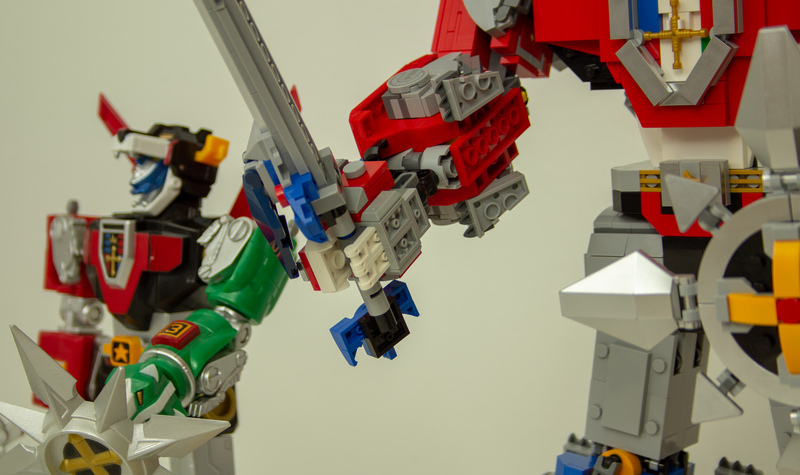 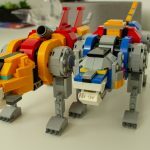 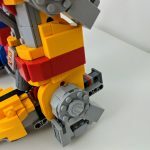 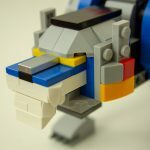 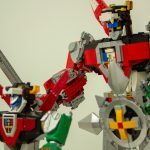 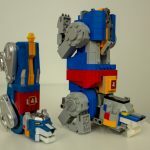 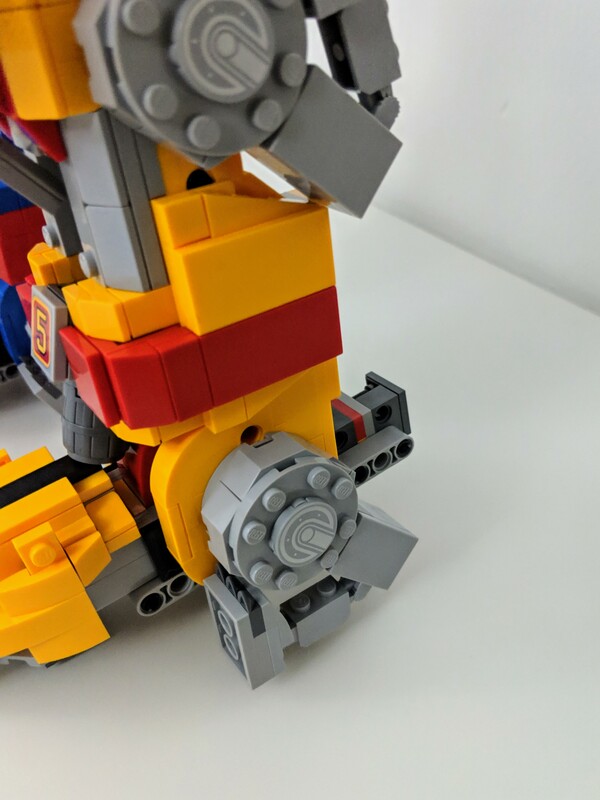 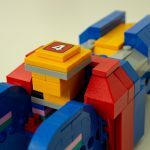 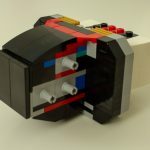 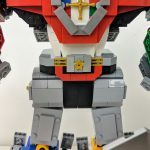 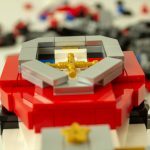 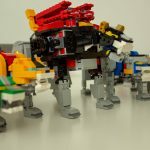 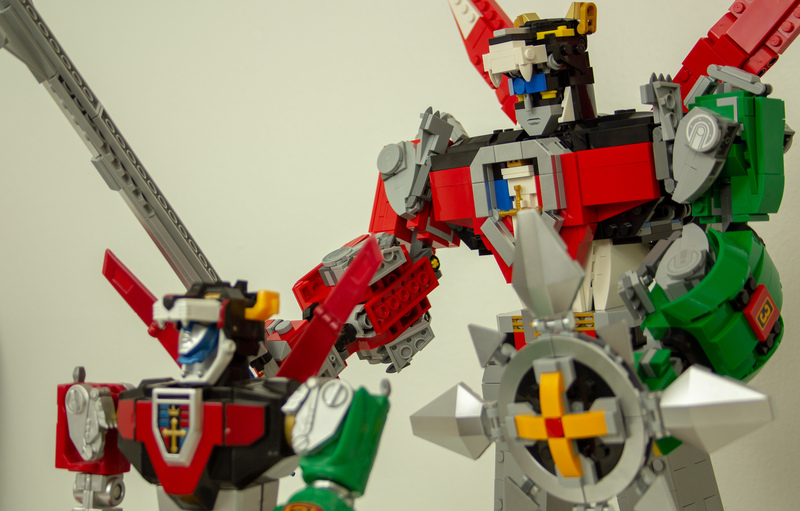 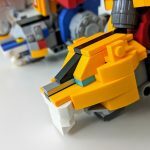 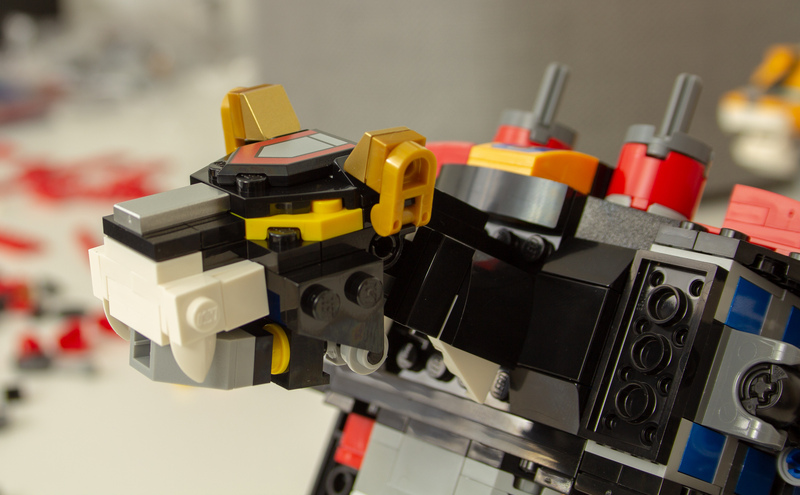 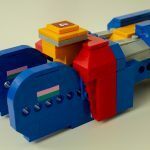 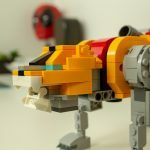 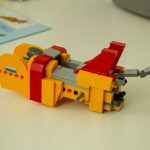 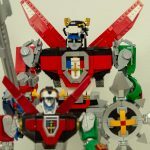 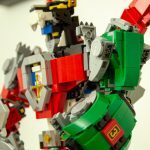 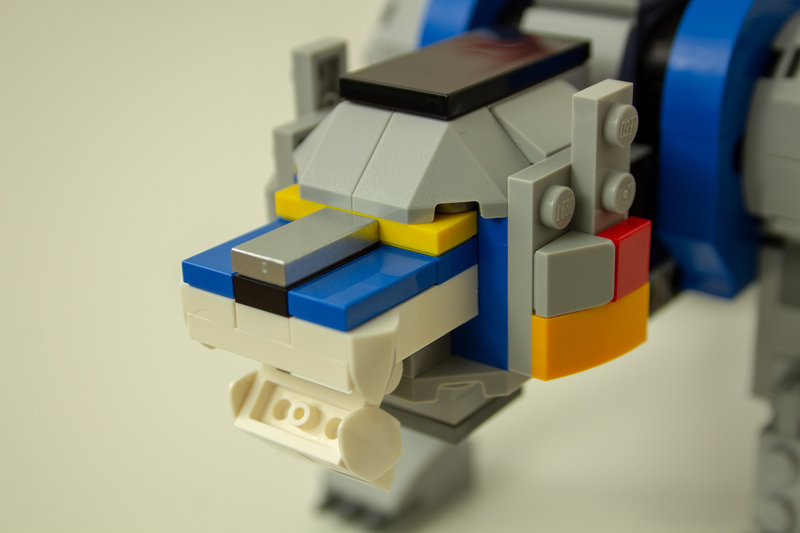 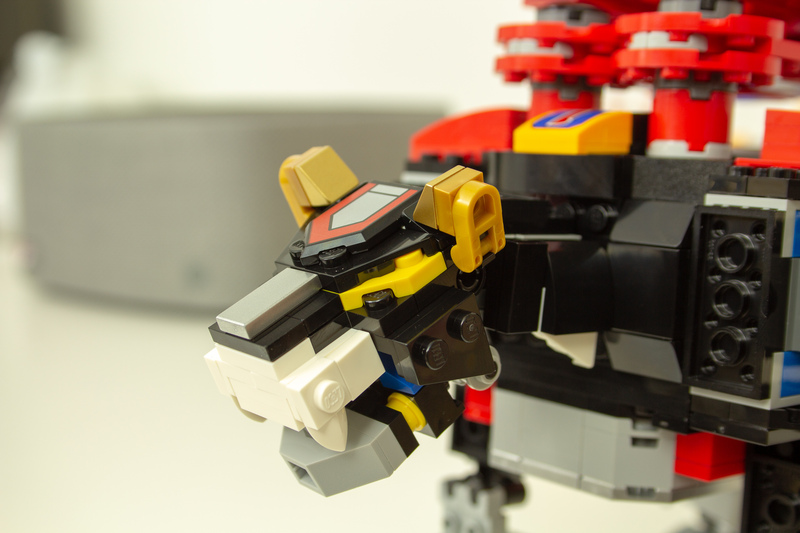 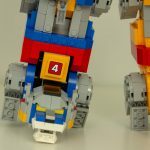 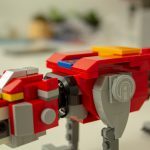 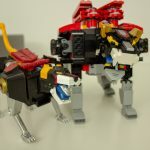 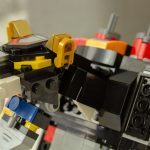 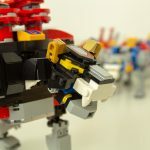 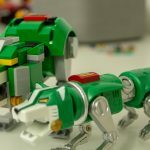 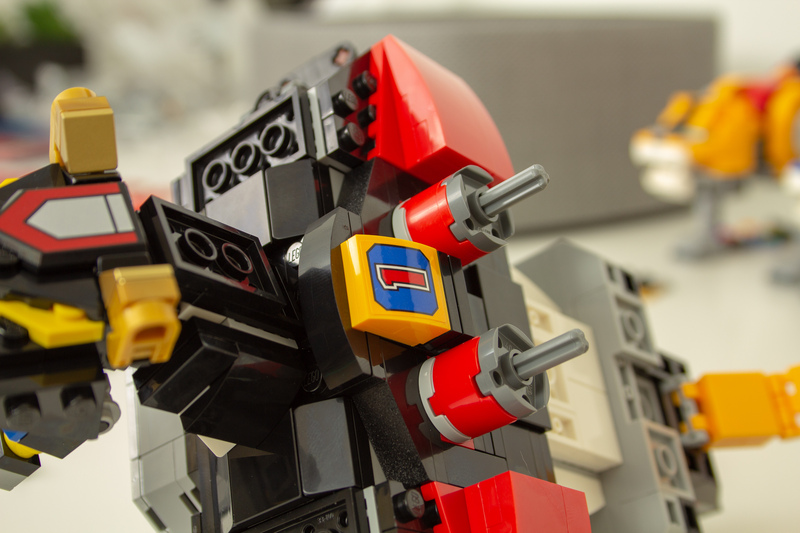 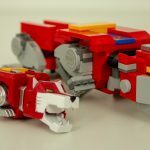 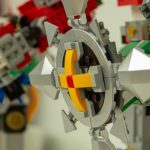 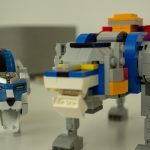 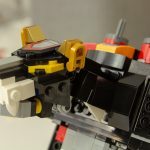 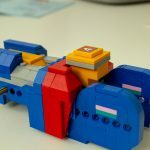 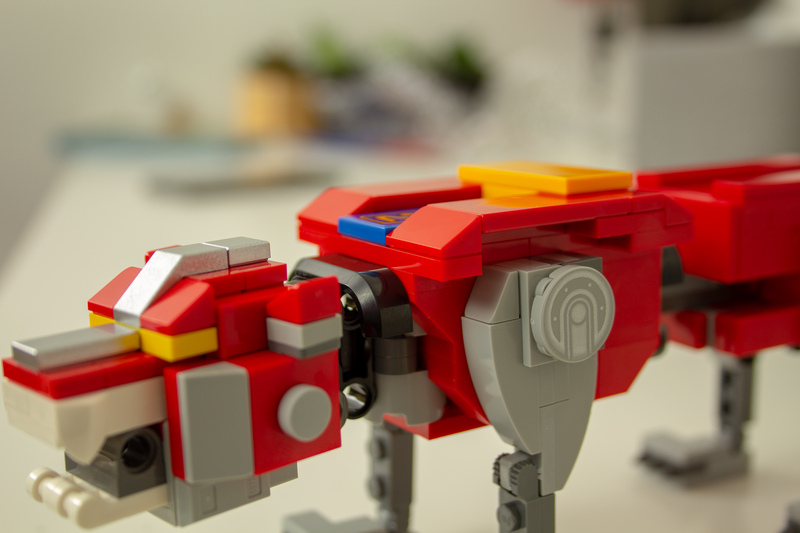 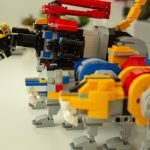 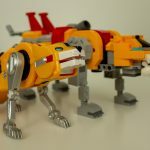 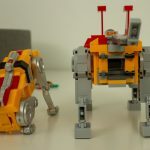 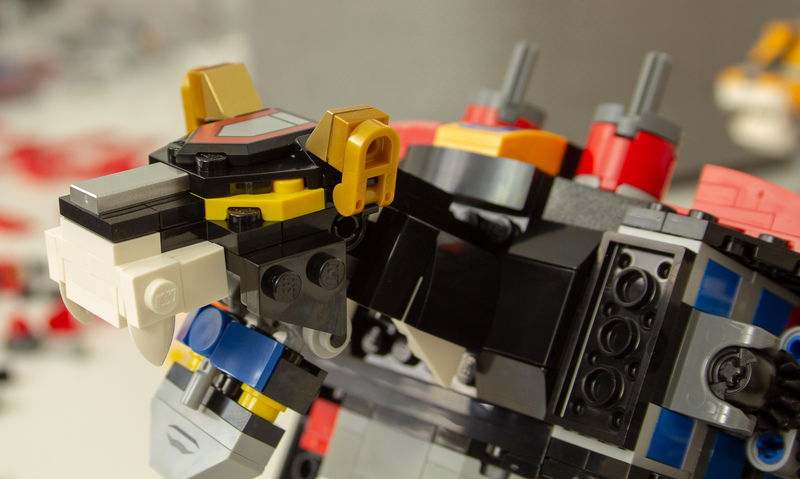 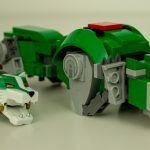 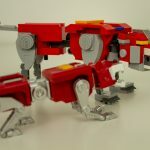 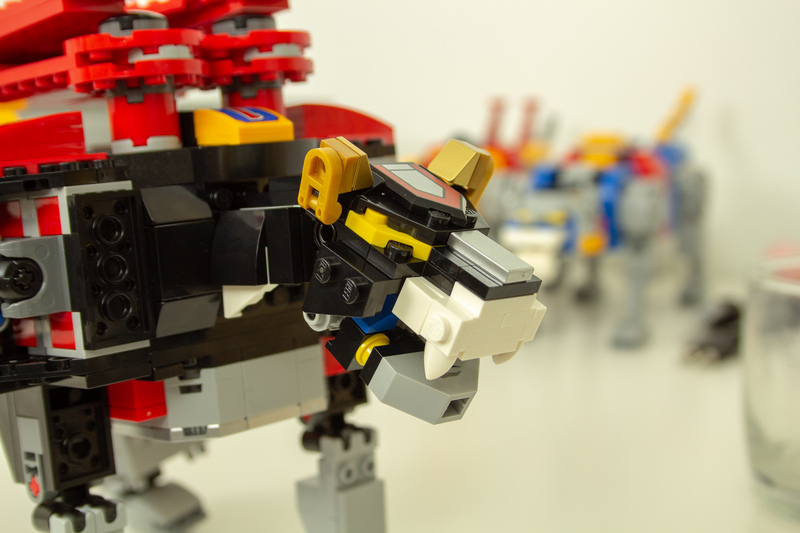 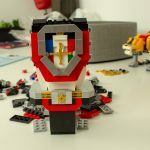 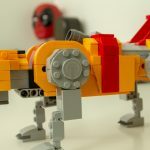 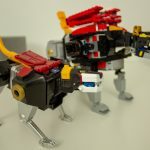 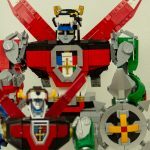 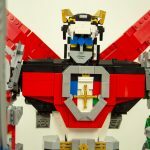 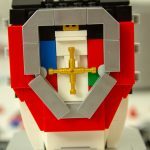 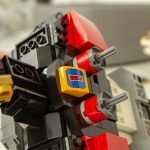 LEGO Voltron was my first “epic” sized LEGO build, so keep that in mind as we go through some of the details here. 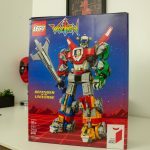 Unboxing the whole thing gave me a huge amount of respect for the people at LEGO who put the sets together. 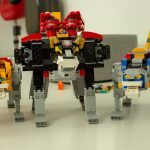 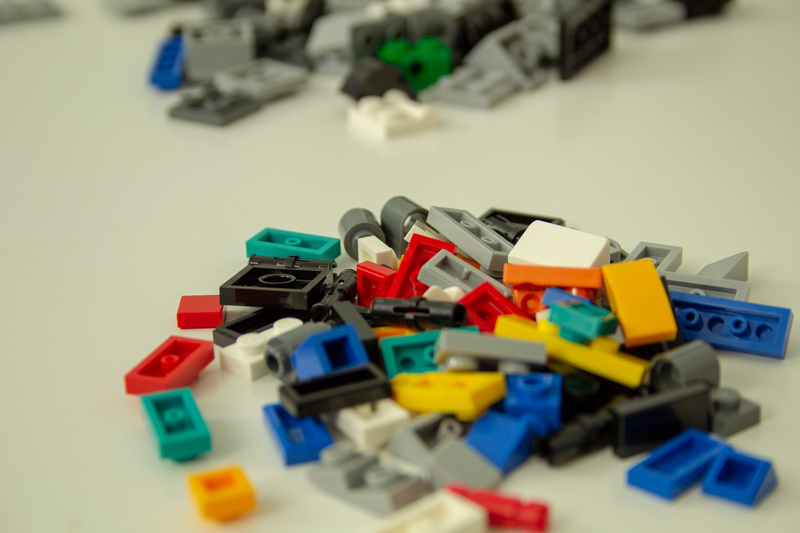 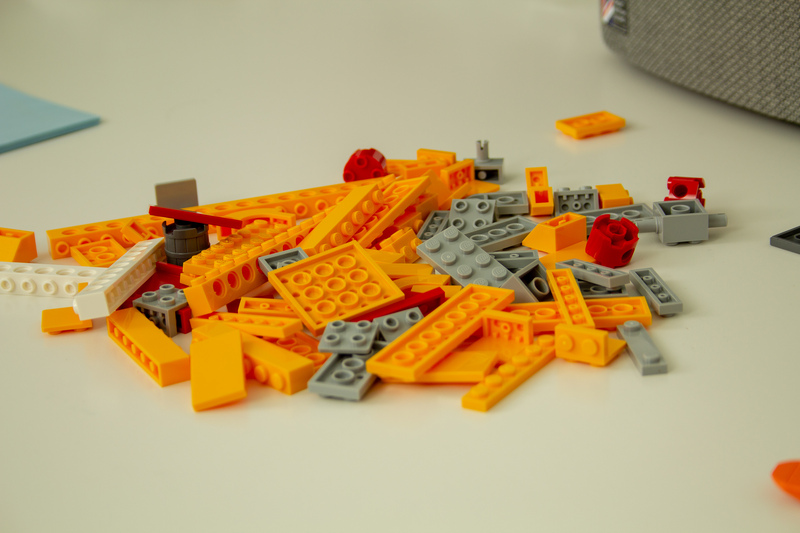 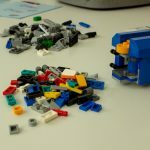 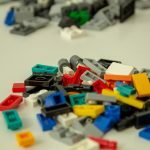 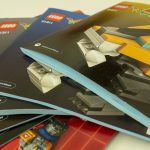 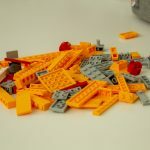 It was hard to imagine what 2,300 LEGO bricks look like until I had them laid out on my work table in 16 bags with six manuals – one for each lion and one for Voltron itself. 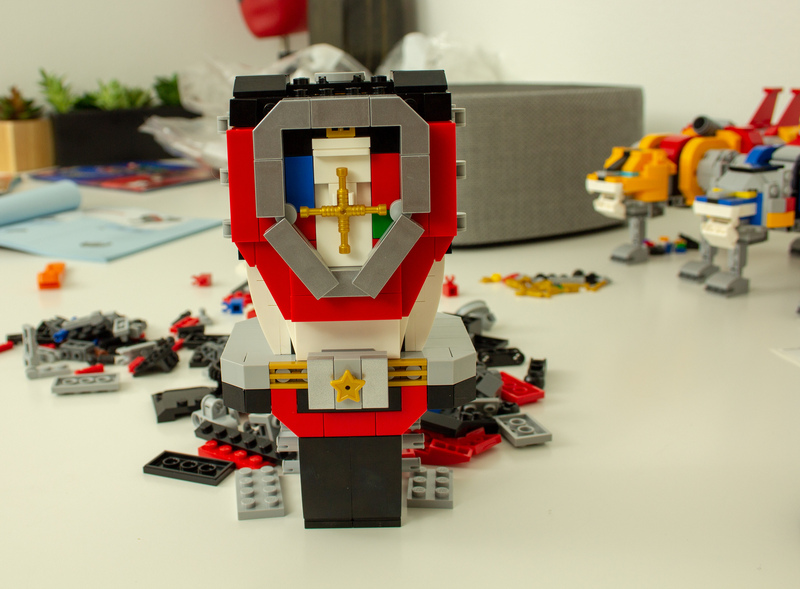 Suddenly, this project was a little daunting! 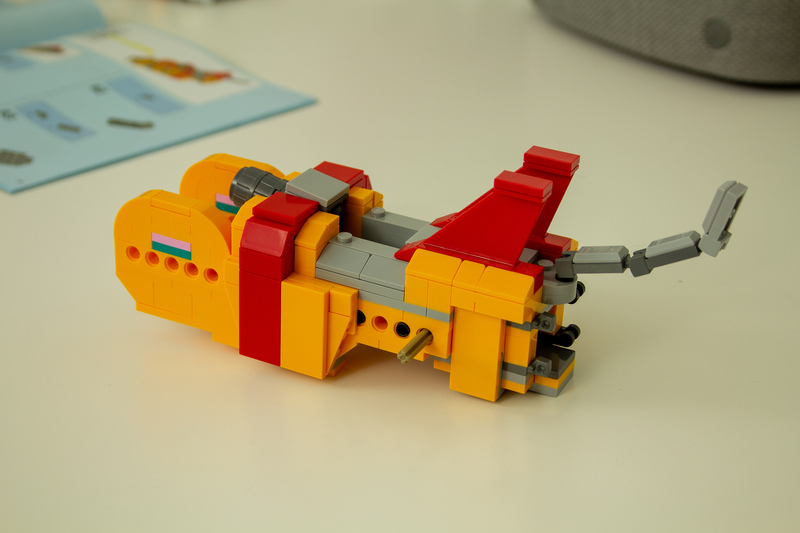 But I also started to imagine what might go into putting a LEGO set together. 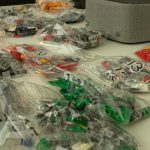 I’m not sure if LEGO has an automated process for sorting pieces into bags or if that’s something a human does by hand, but either way, the price tags these sets fetch were finally starting to sound reasonable. 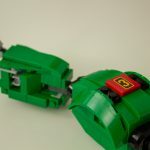 It took buying a set to understand where that money is likely going. 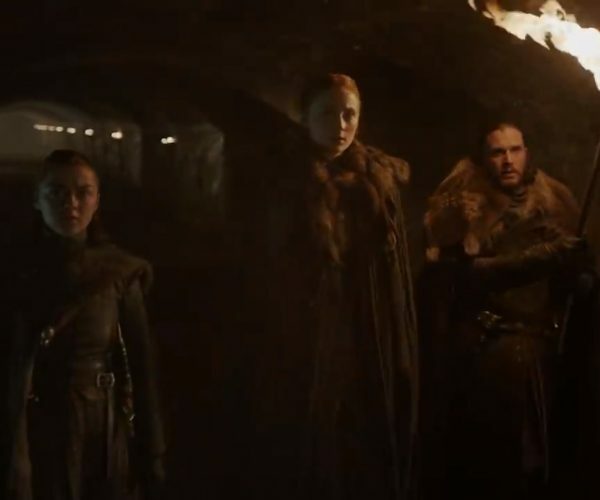 Building the lions was, for the most part, pretty straight forward. 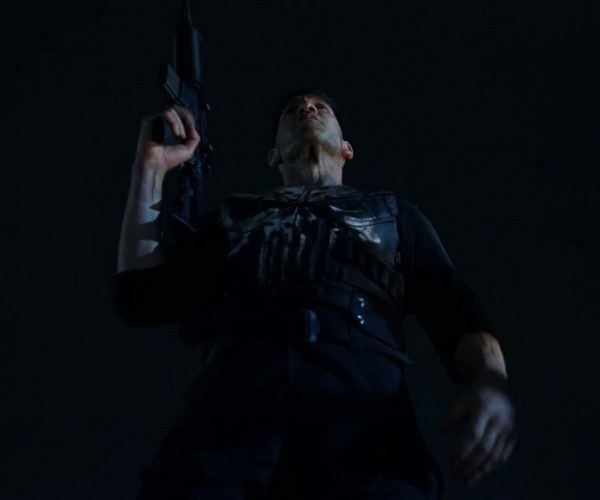 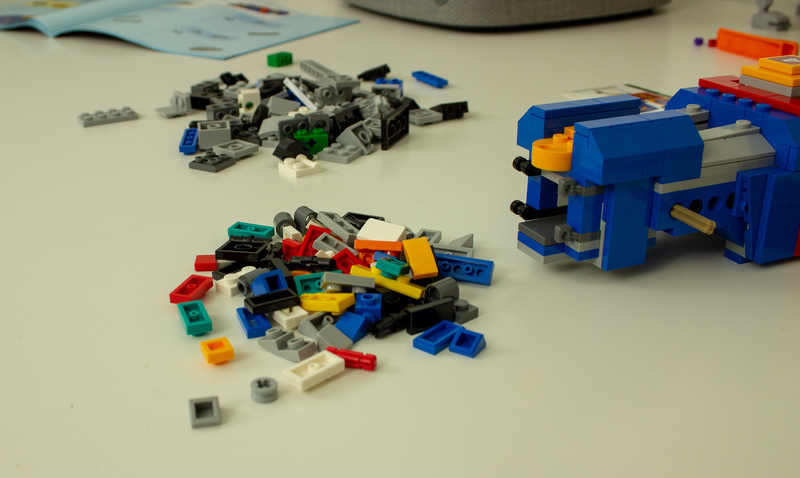 There were only a few hiccups throughout the process. 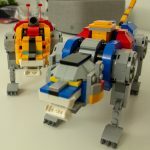 I stumbled a few times while I got used to the instructions, and then again when I had to put together the legs for the smaller “arm” lions. 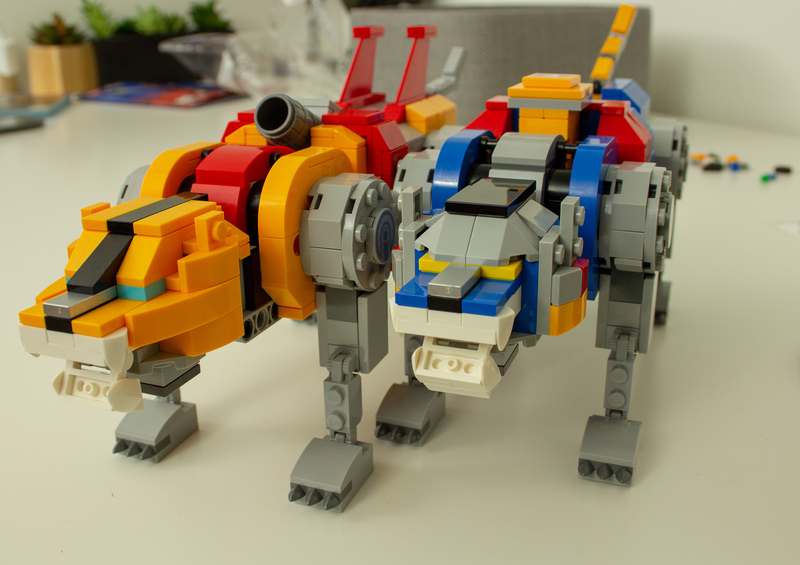 Overall, though, I was really impressed with how well sorted the pieces are and how clear the instructions are. 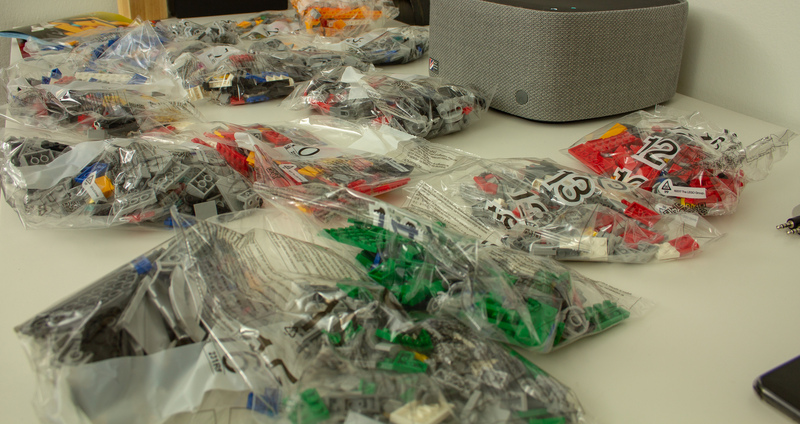 Some of the 16 bags even had a couple sub-bags packed inside, leaving me working through three bags at once. 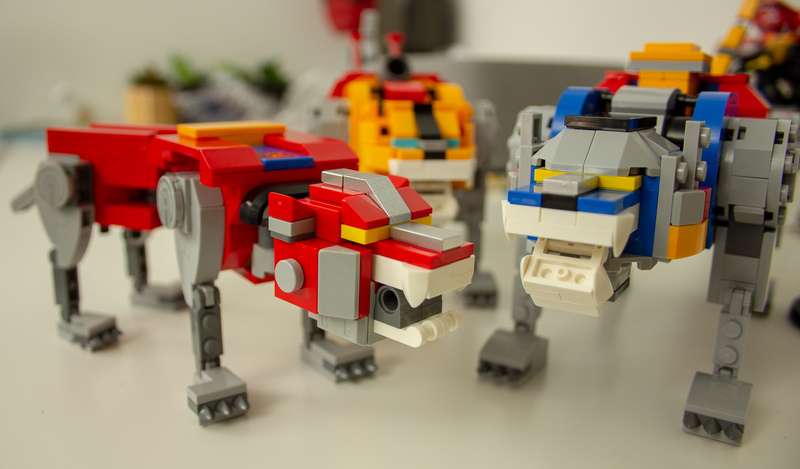 I assembled the lions one at a time over a few days, taking a break after each lion. 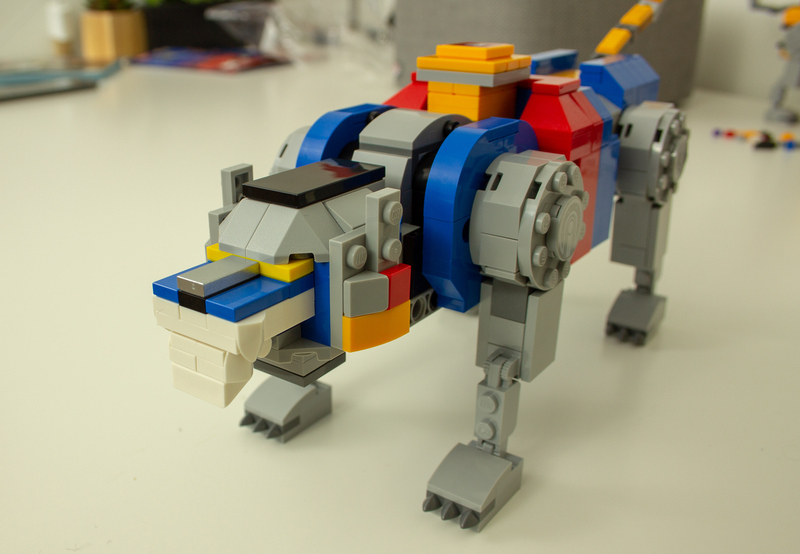 The whole process probably took me about 12 hours, but I also was specifically slowing myself down. 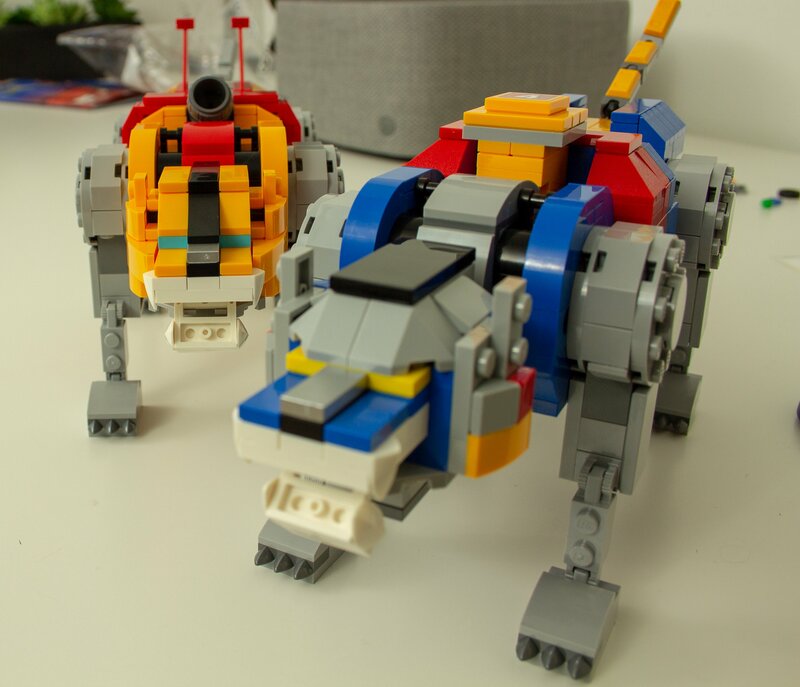 An experienced LEGO builder or someone who likes to time themselves could probably put the set together in half the time. 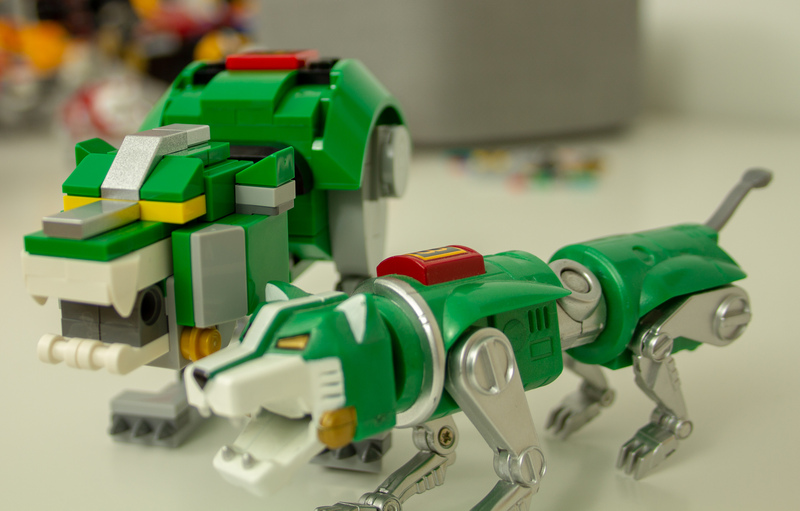 Part of what makes Voltron special is the separate-but-whole aspect of the toy. 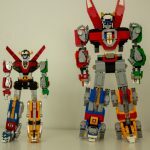 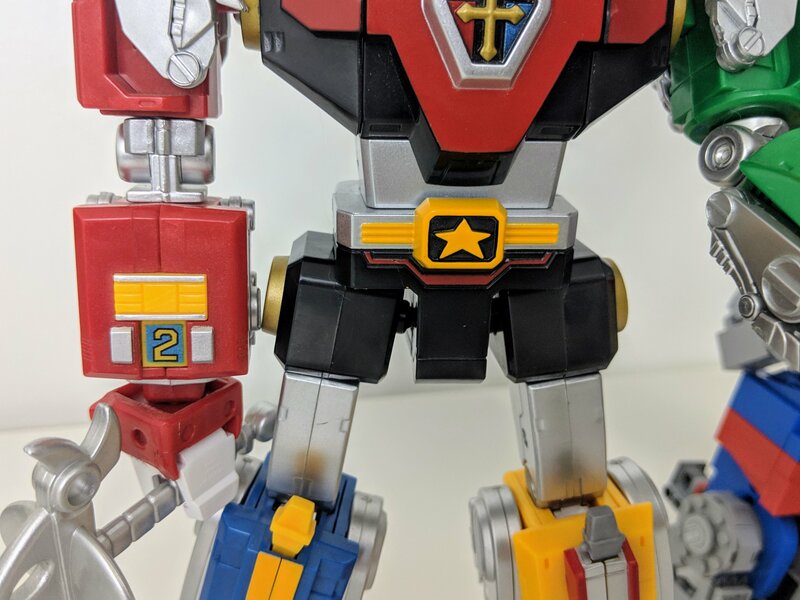 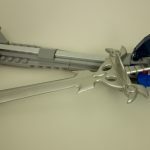 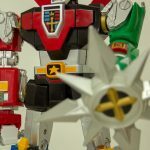 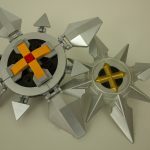 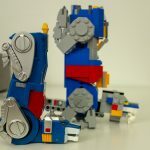 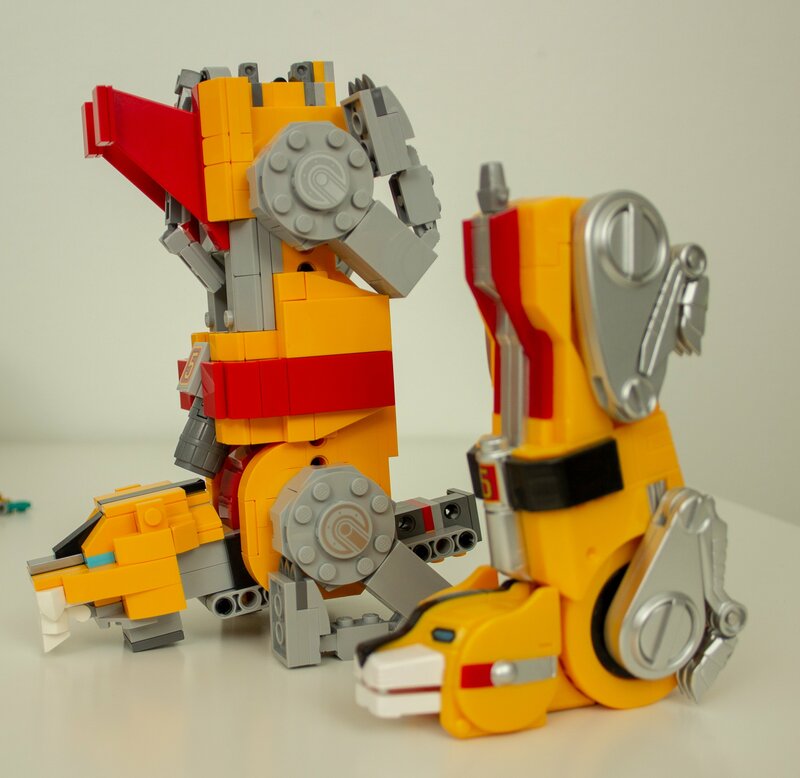 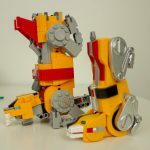 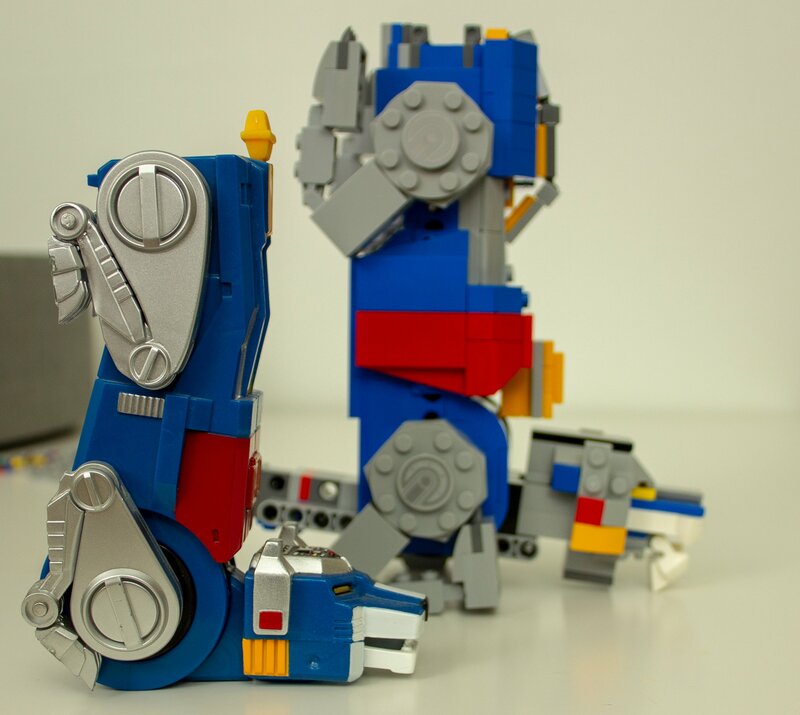 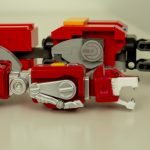 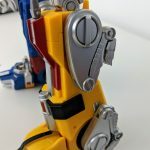 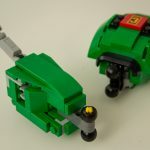 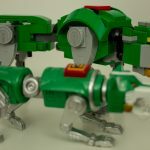 The very fact that the Voltron bot splits apart is core to both the story’s themes of teamwork and communication and to the novelty of the original toy. 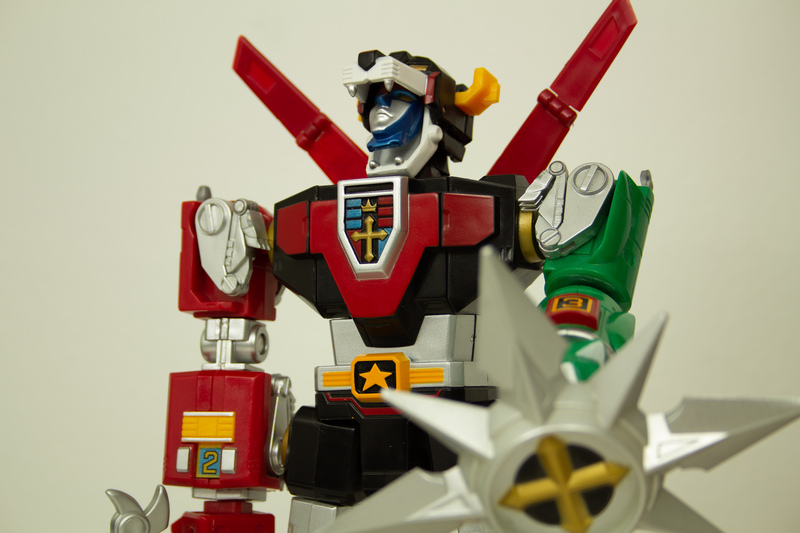 In addition to that full-size Voltron toy, I had a much smaller metal one, along with a similar-sized Vehicle Voltron. 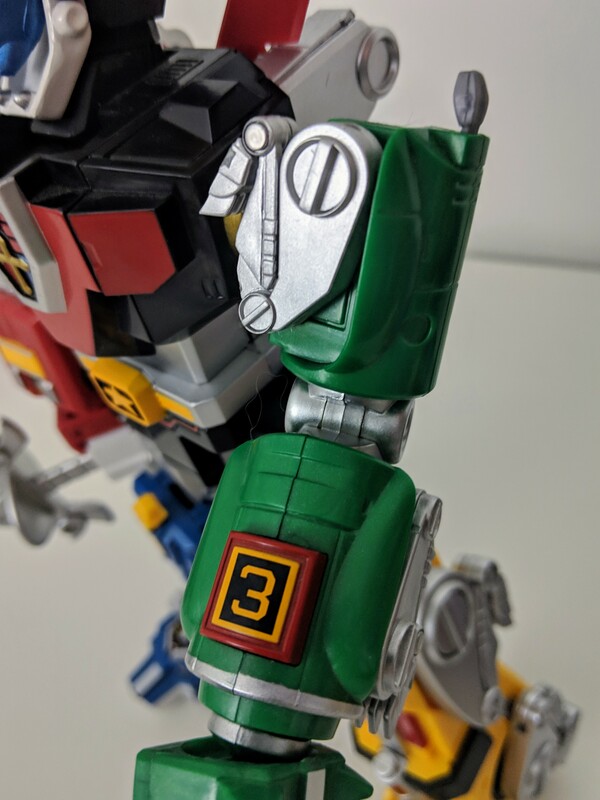 I wish I still had those for display pieces in my display case, but I bet you can guess which toy I played with the most of those three. 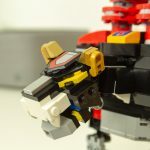 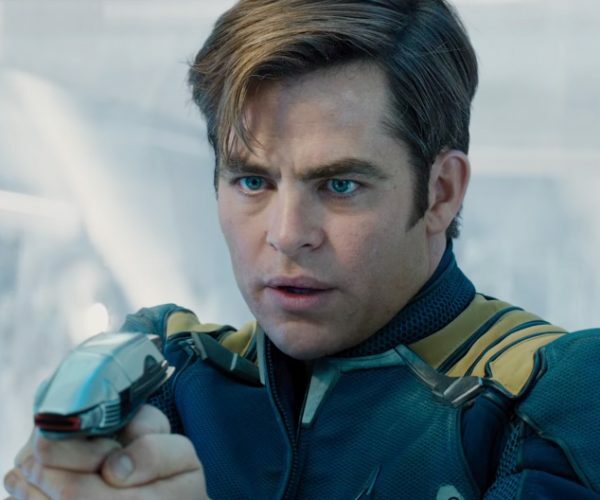 Much the same way that making the Transformers “tzchh-tzchh-tzchh” sound effect while transforming them is part of the fun of those toys, being able to assemble Voltron and shout out the iconic lines about the interlocks and megathrusters was (is, let’s not lie to ourselves) part of what made it so fun. 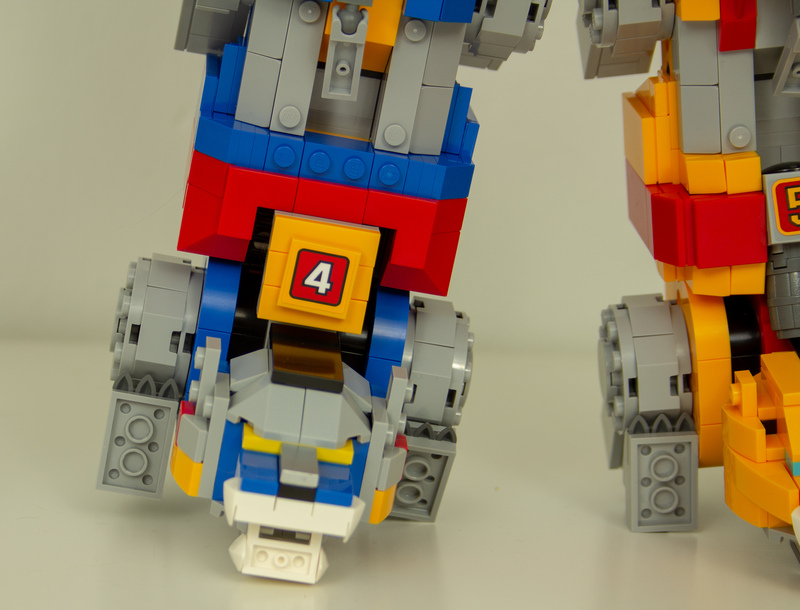 It also probably made this build hellishly difficult to get down. 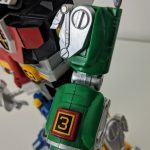 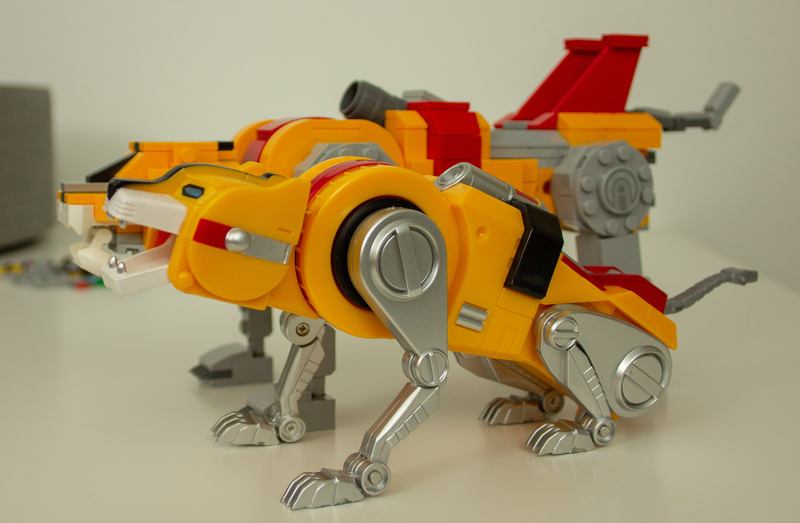 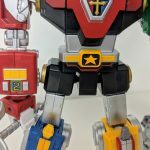 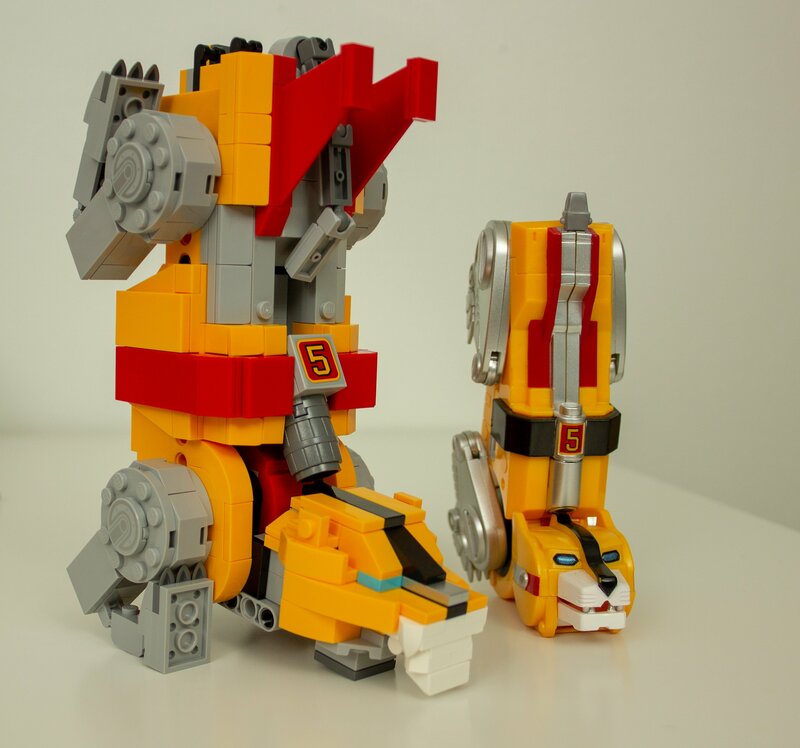 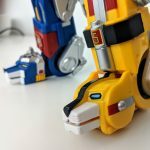 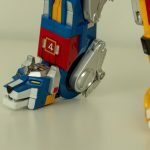 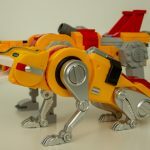 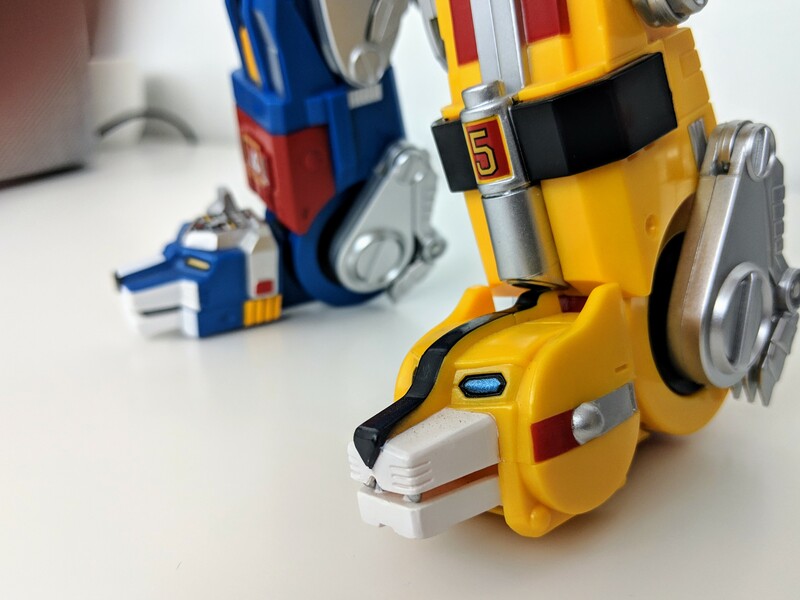 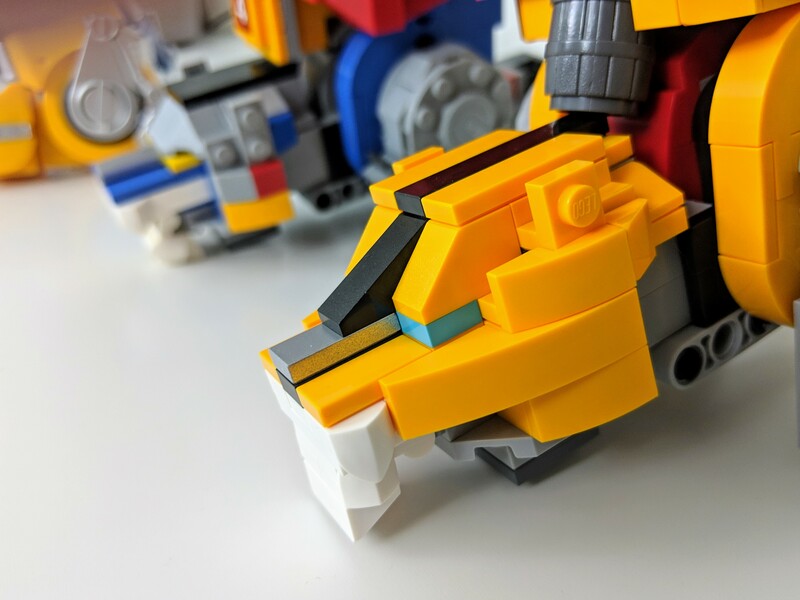 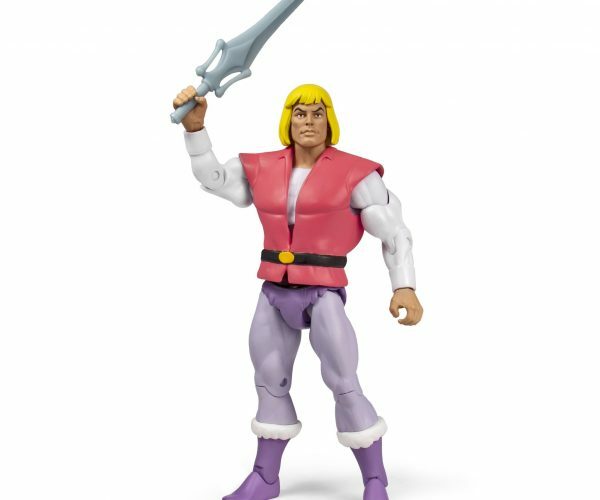 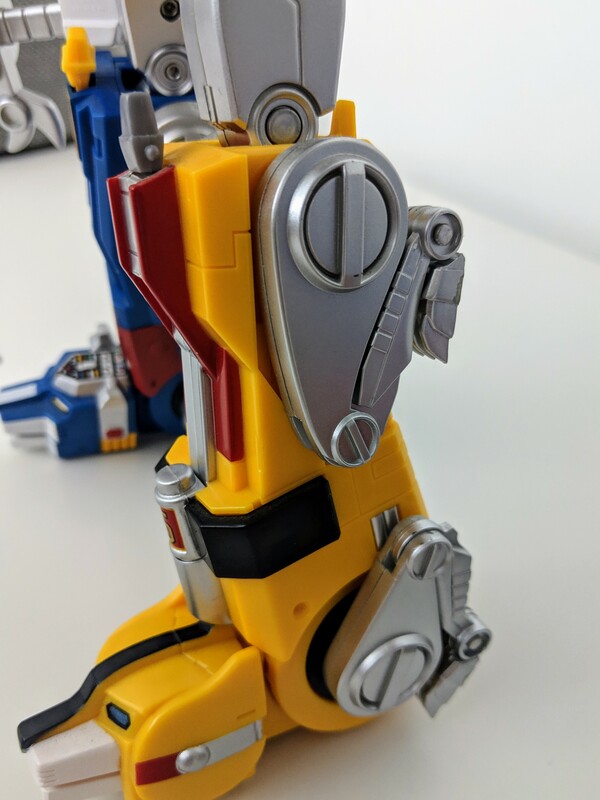 You have to make something that looks like the original lions and like Voltron, and it has to transform and assemble in a way at least kind of like the original toys. 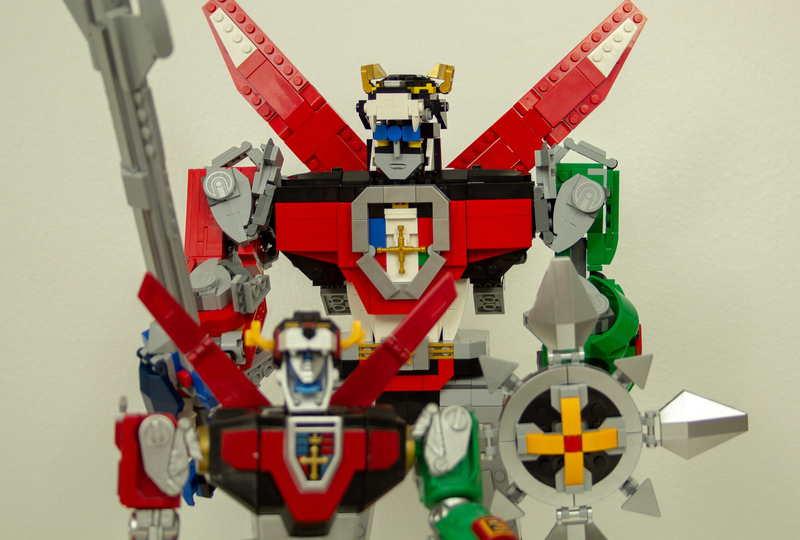 I’m thrilled to say that LEGO Voltron does basically all of that. 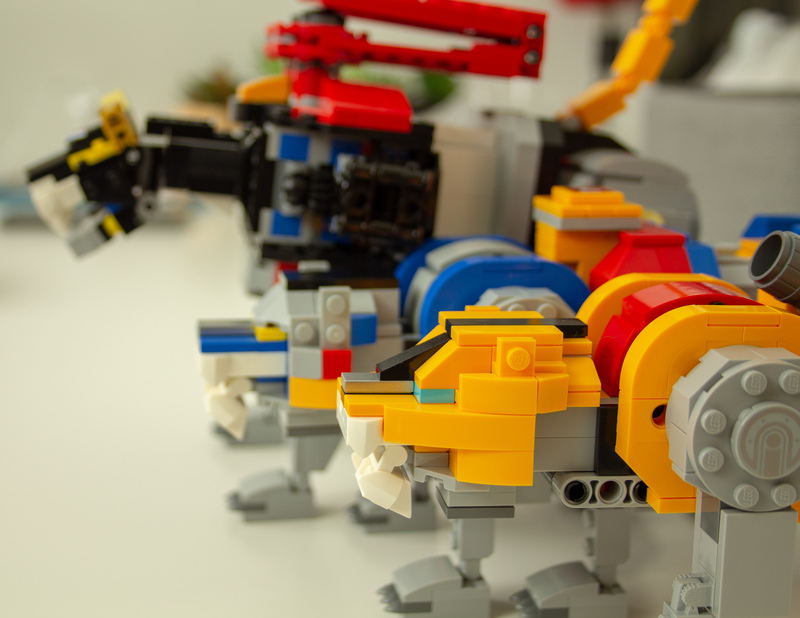 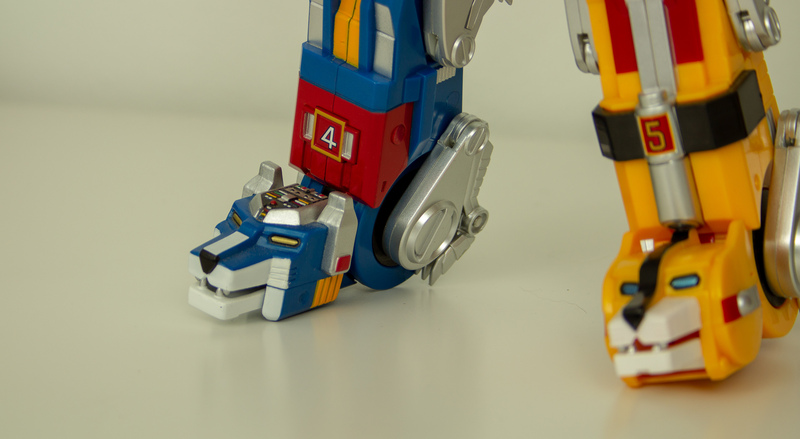 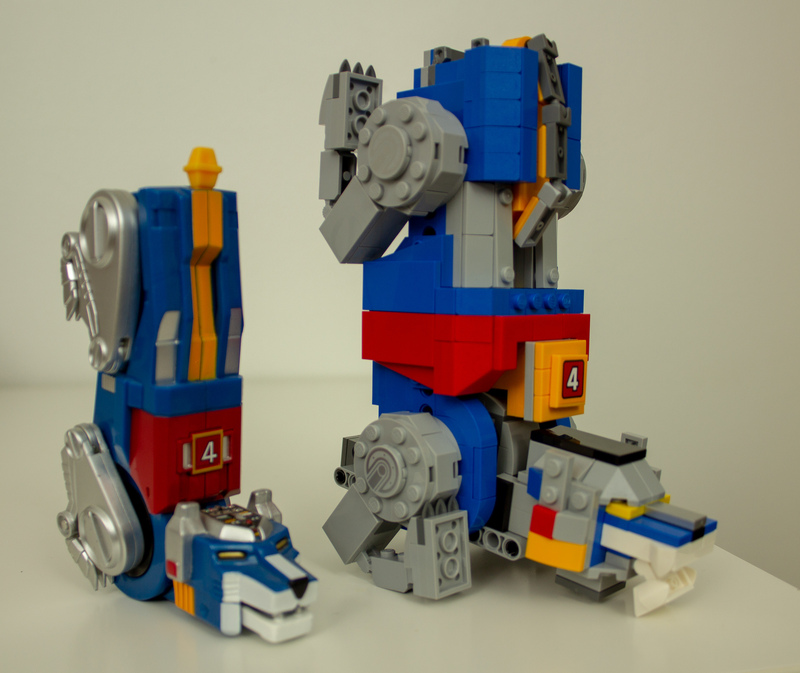 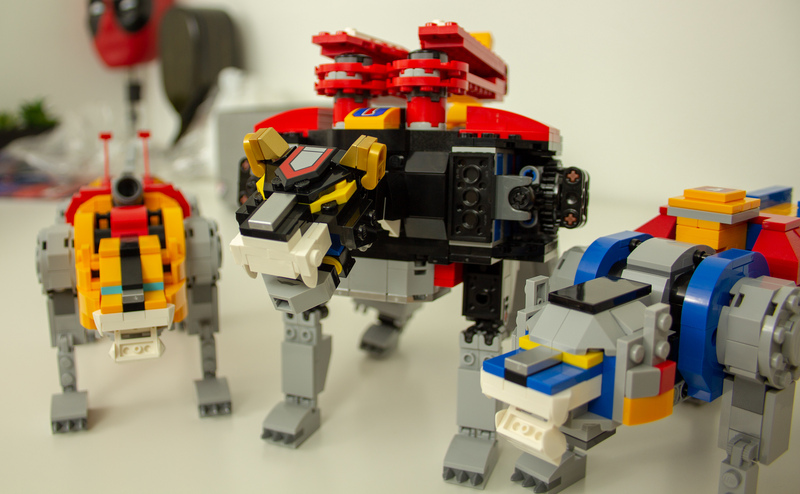 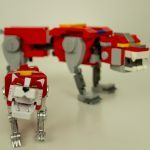 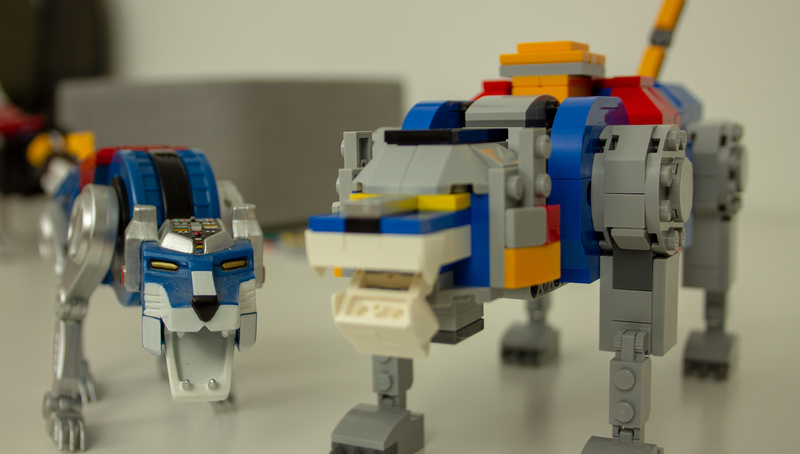 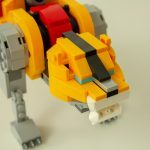 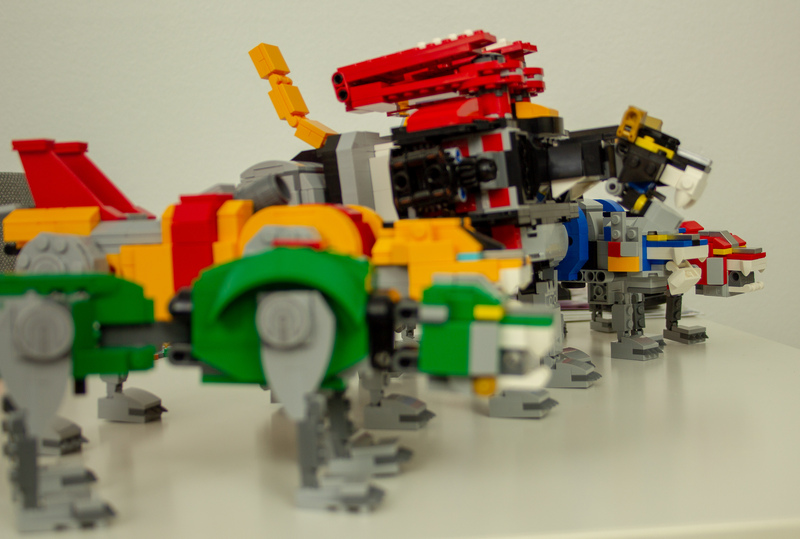 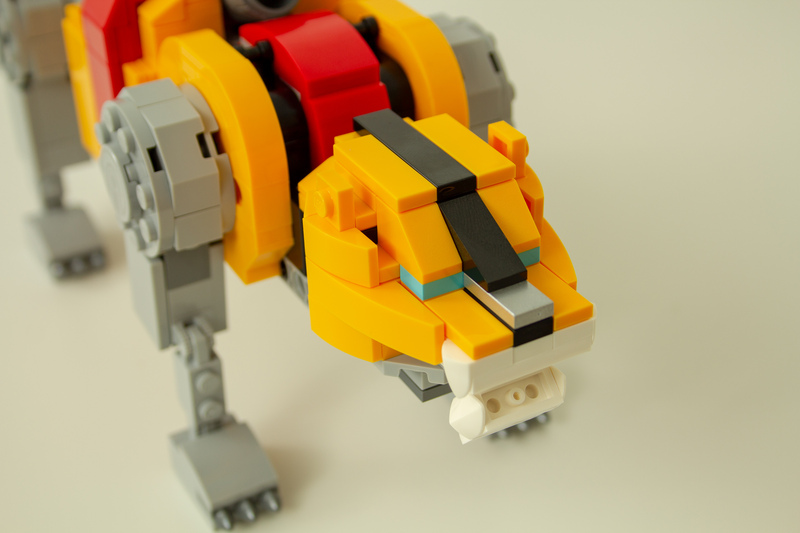 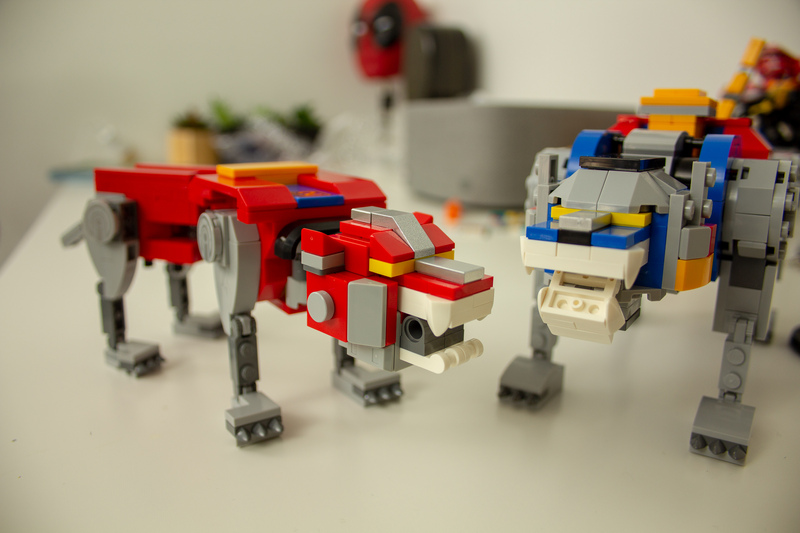 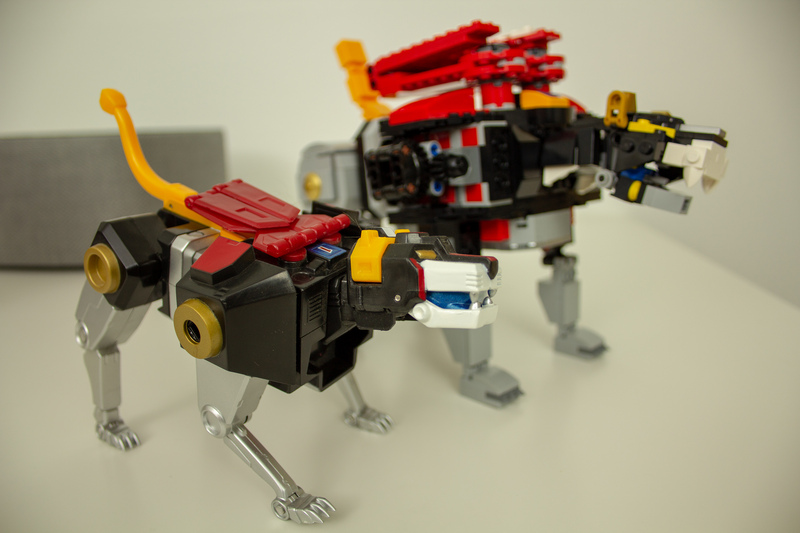 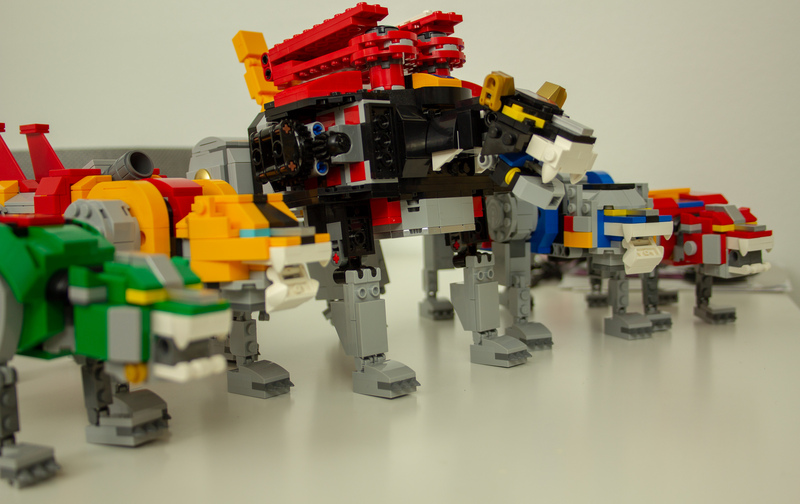 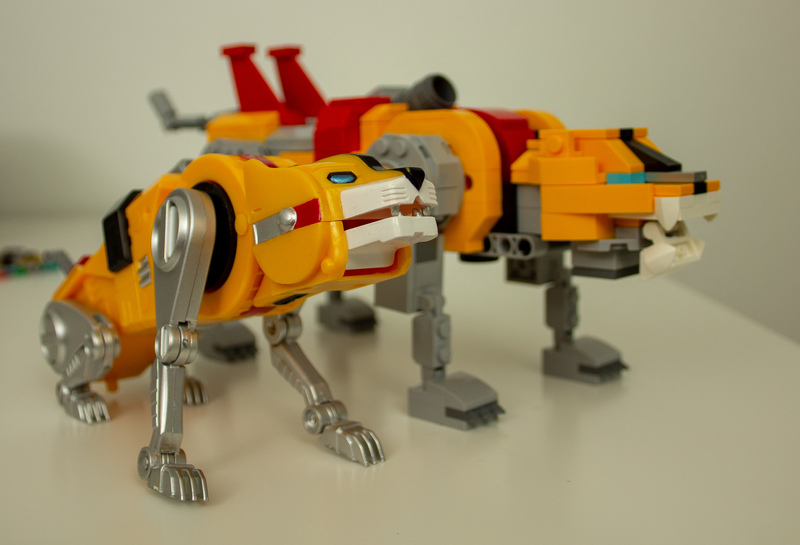 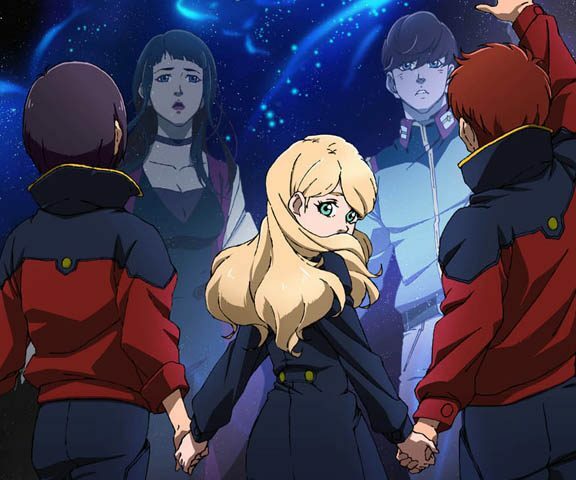 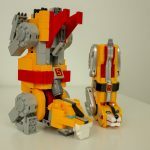 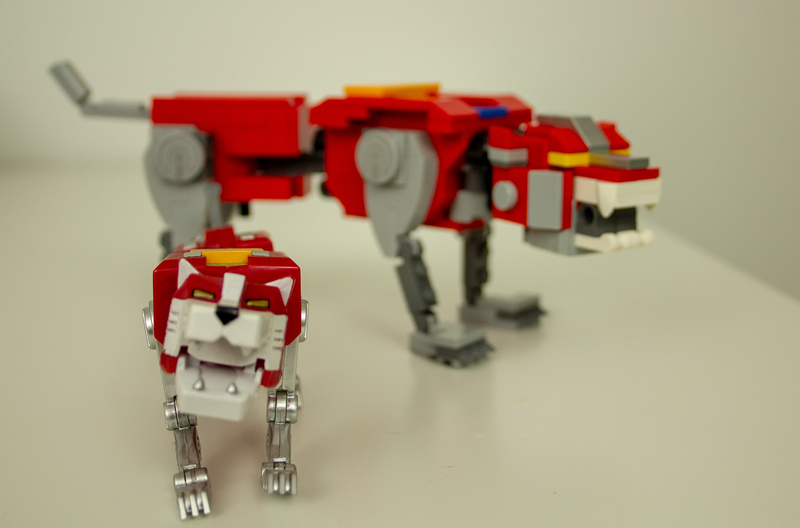 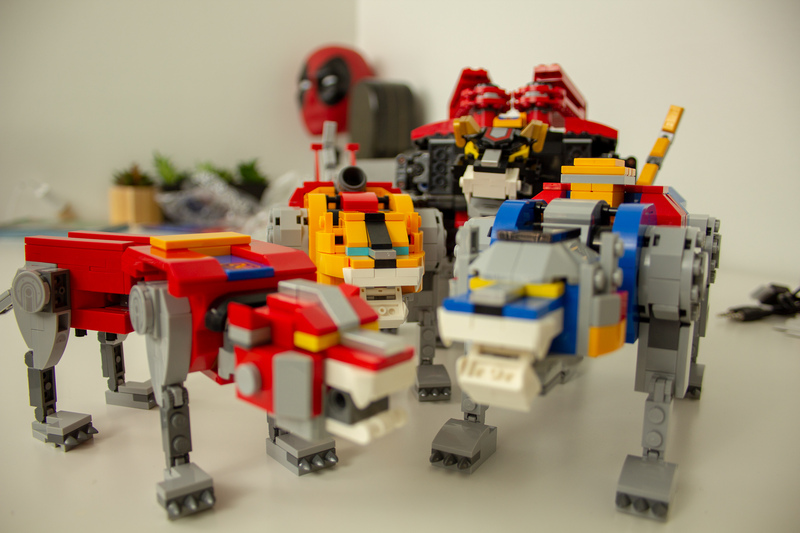 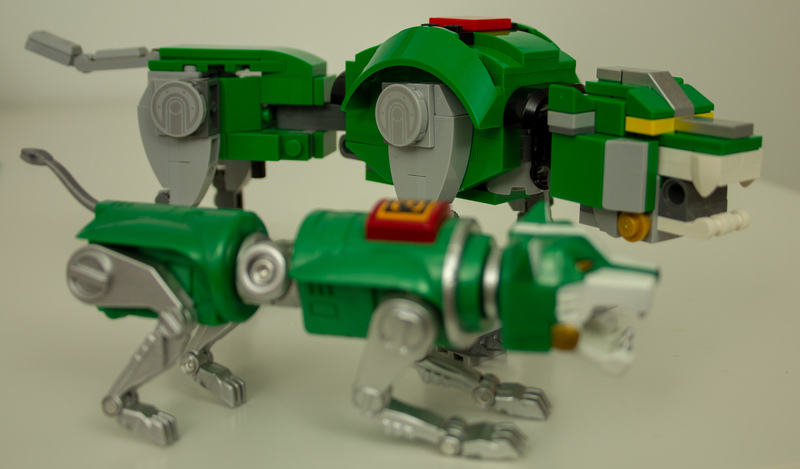 The lions themselves look great, and Voltron looks even better. 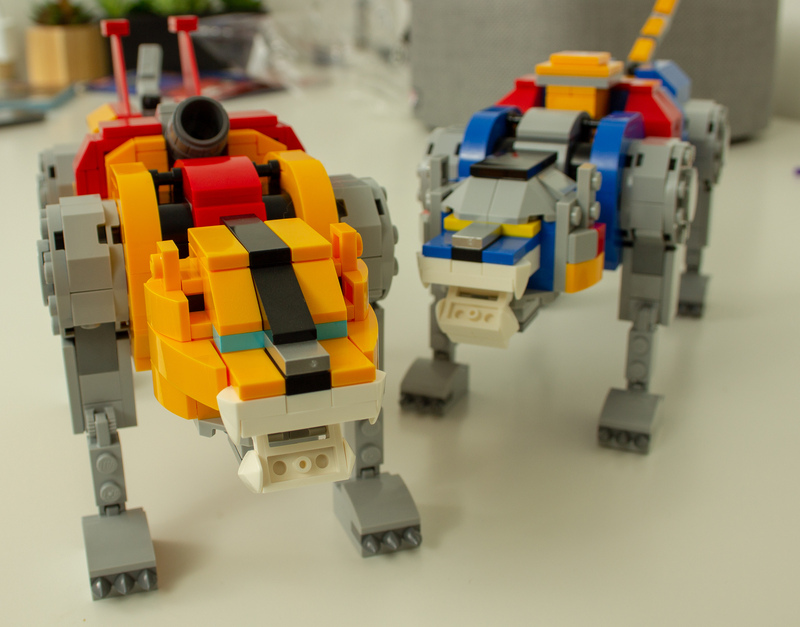 The assembled kit is much bigger than my already-awesome Voltron set, and each lion is substantially larger on its own, too. 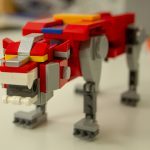 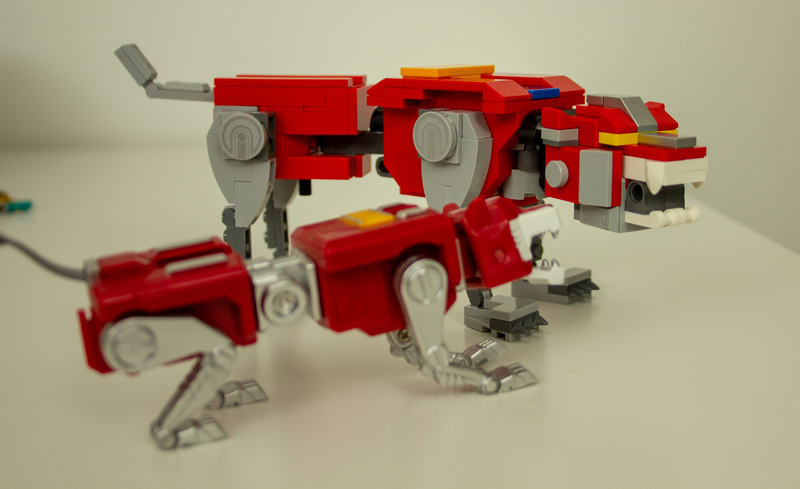 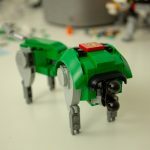 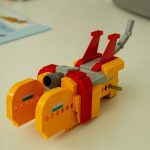 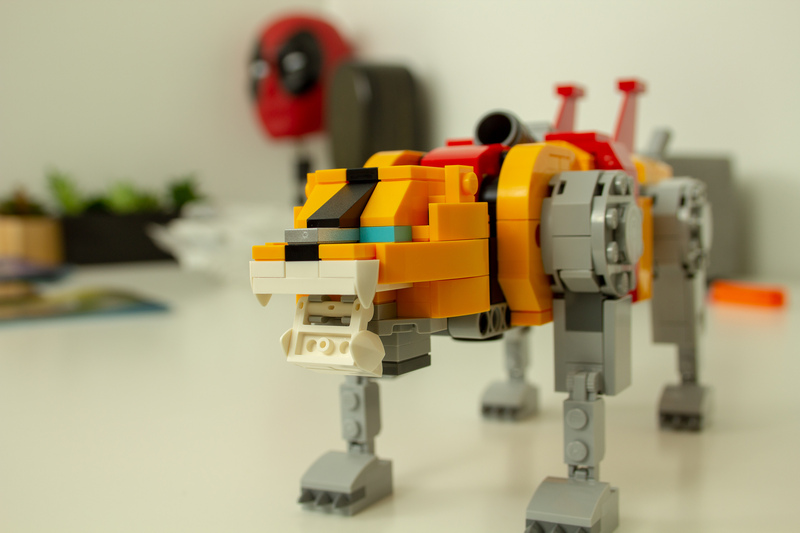 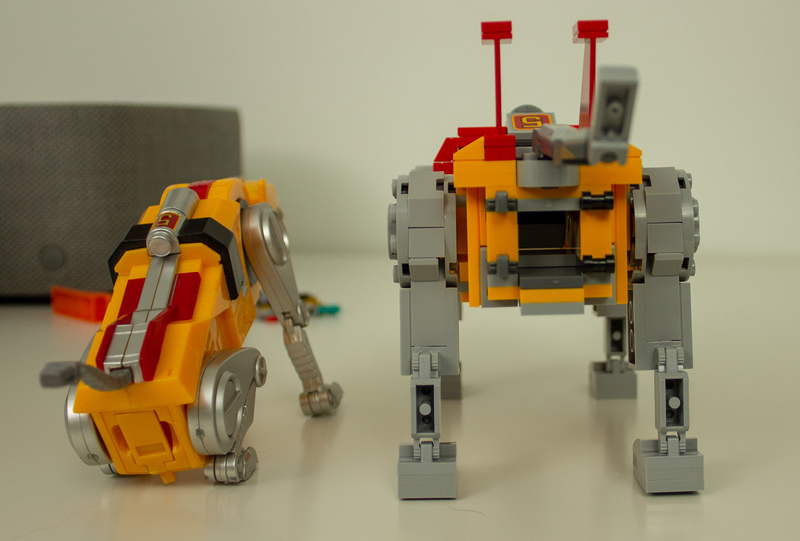 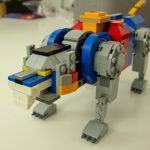 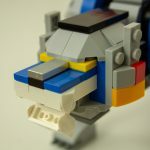 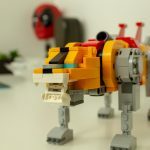 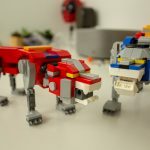 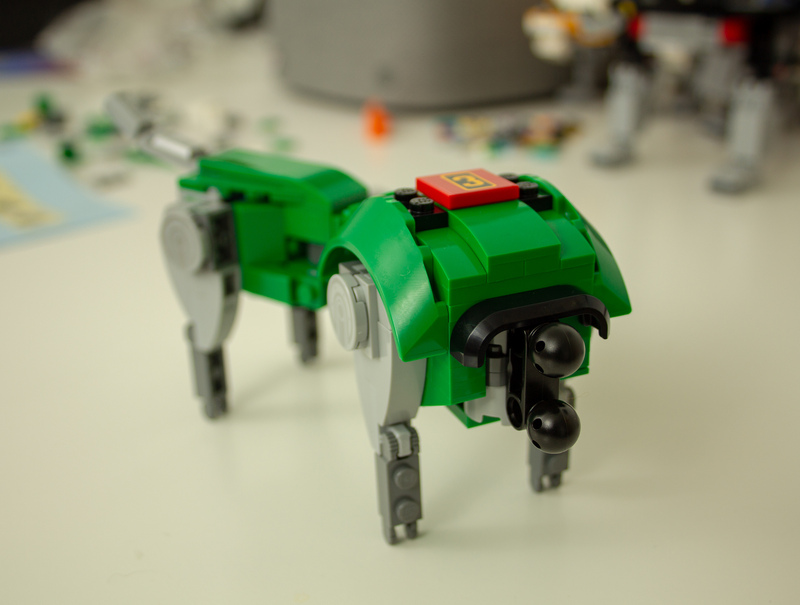 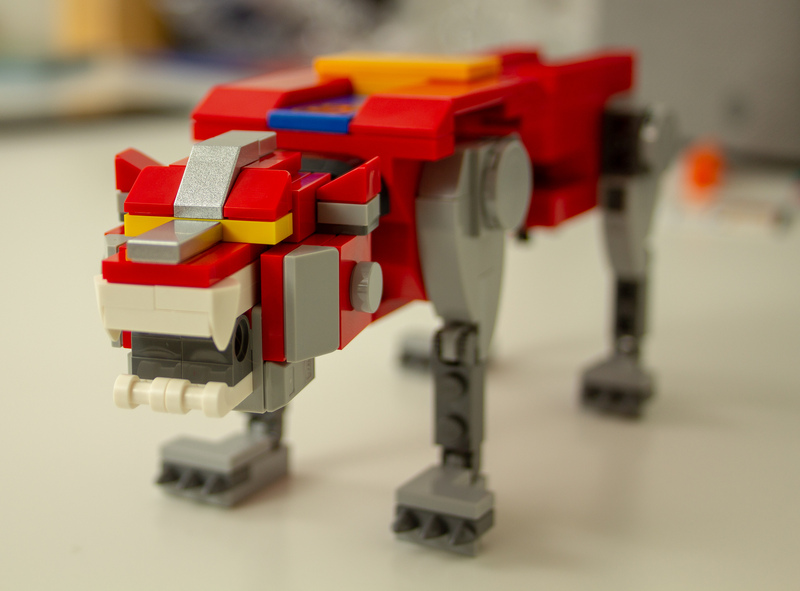 The pre-built lions are more poseable, but the LEGO lions feel sturdier overall, and I’m not afraid to nudge the toy because I know if it breaks somehow, I can dig out the instructions and put the beast back together. 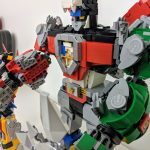 It’ll never be quite the same as a proper Voltron toy just because the molded, painted plastic will always look closer to the original, but LEGO Voltron is brightly colored and has just enough stickers and special parts to make it feel like a finished, polished product while still being a LEGO toy. 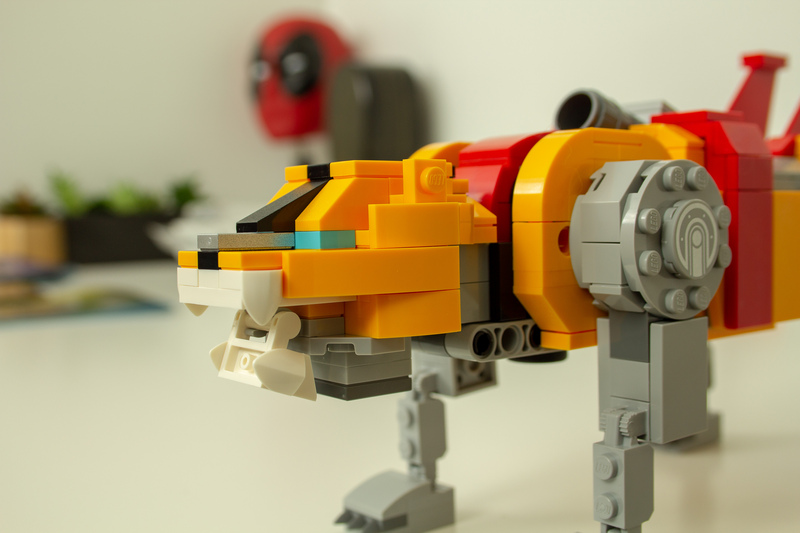 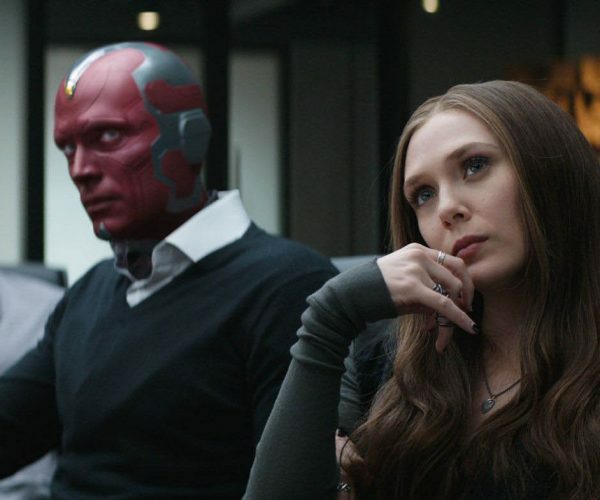 I also think that because it’s built out of LEGO toys, it’s going to age better than a lot of other toys might. 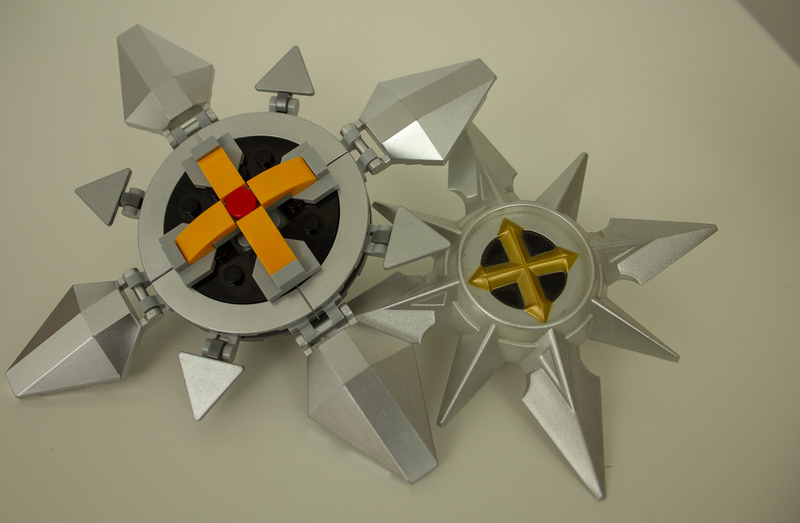 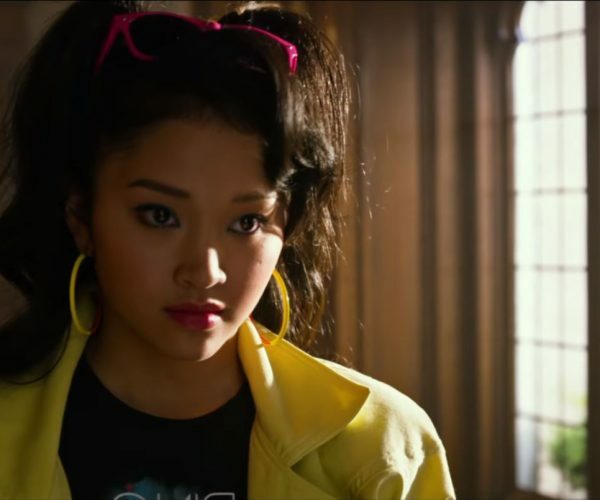 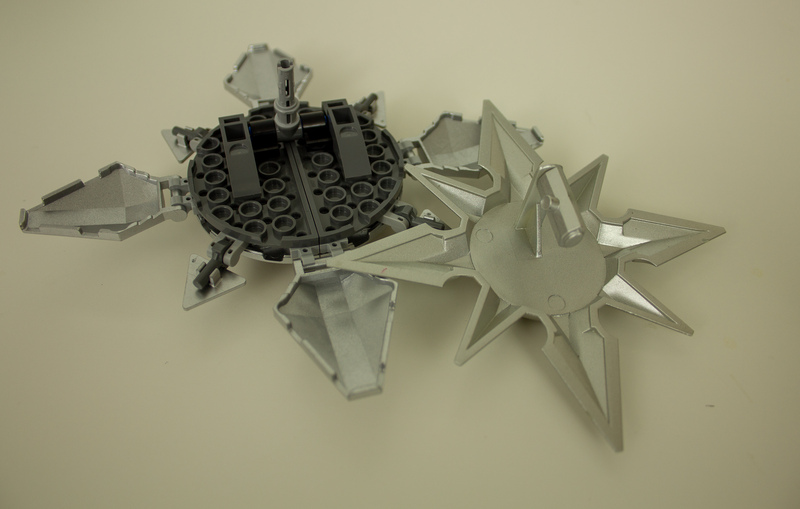 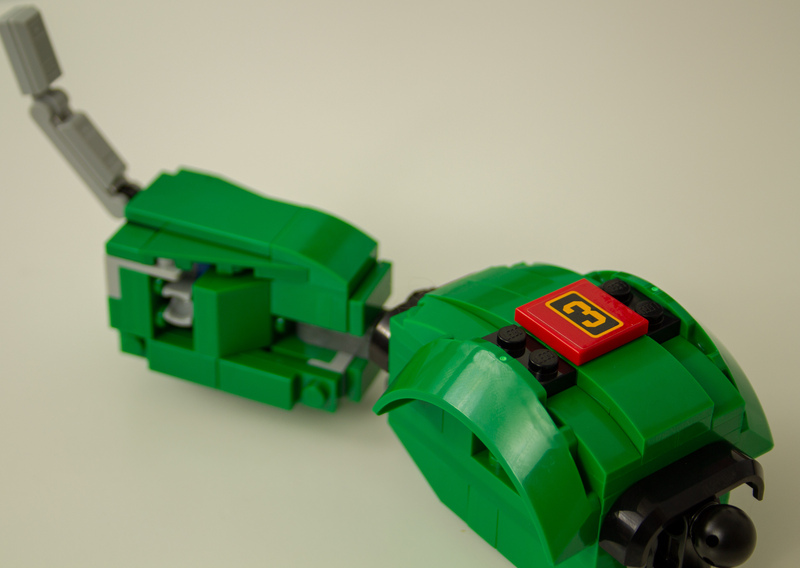 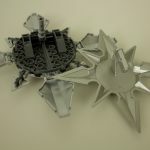 LEGO bricks are meant to take a beating and stay bright and foot-piercingly sharp. 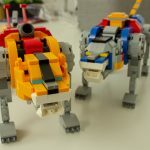 I don’t think I’m ever going to be a LEGO guy. 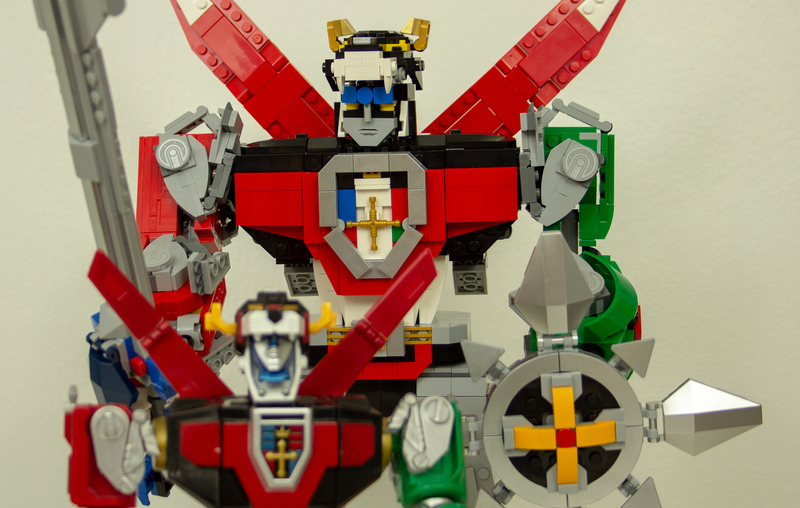 Voltron hasn’t changed my mind on that. I can’t imagine picking up a Taj Mahal set. 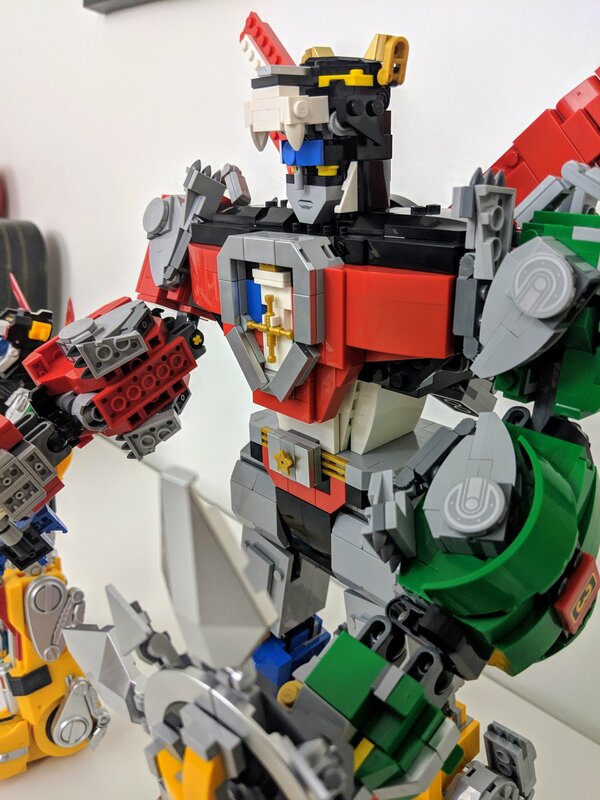 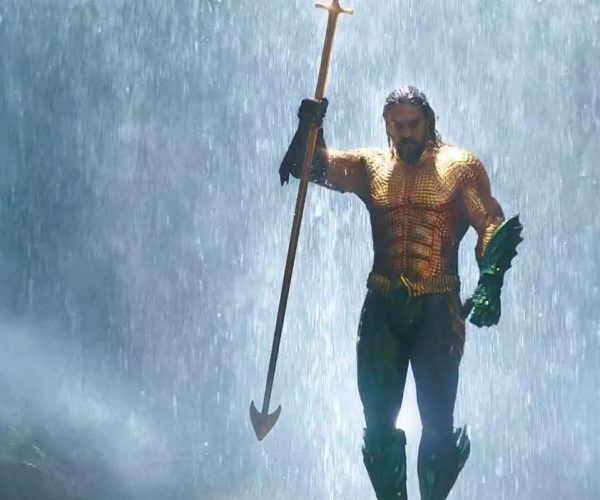 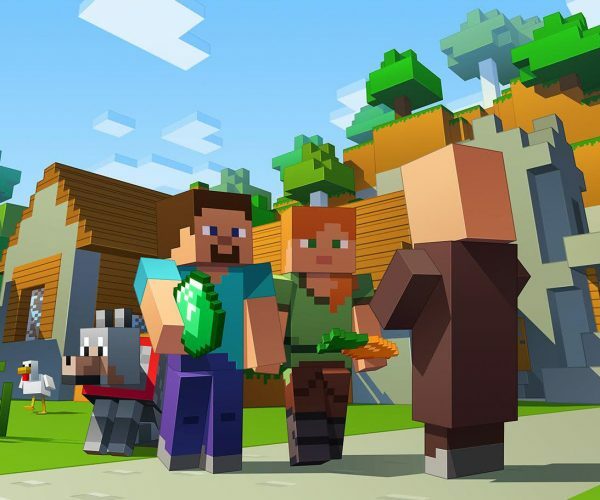 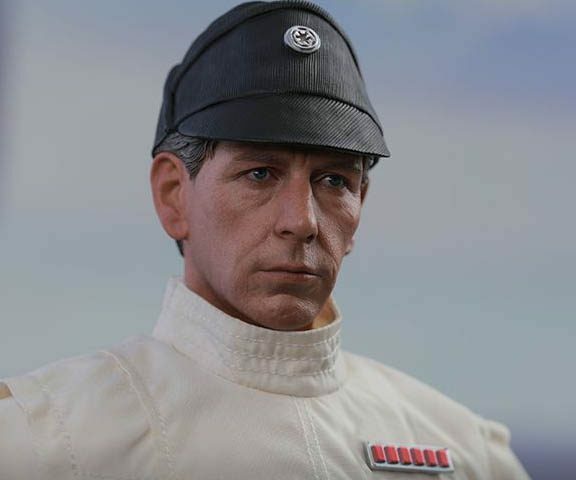 There’s even a LEGO set which has one character I want, and I just went to a LEGO auction site and bought the minifig separately for $10 rather than get the whole set for $30 because I know I won’t put it together and wouldn’t have space for it even if I did. 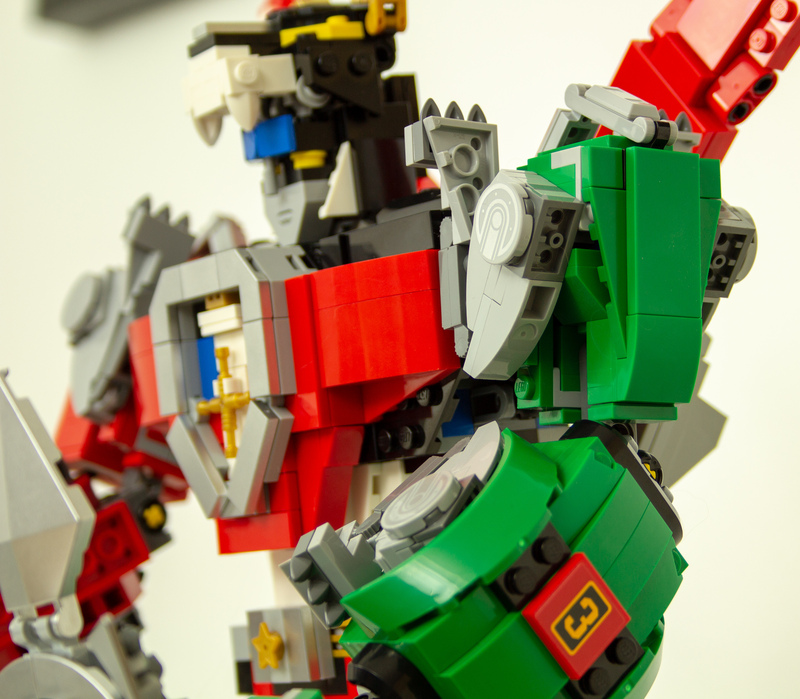 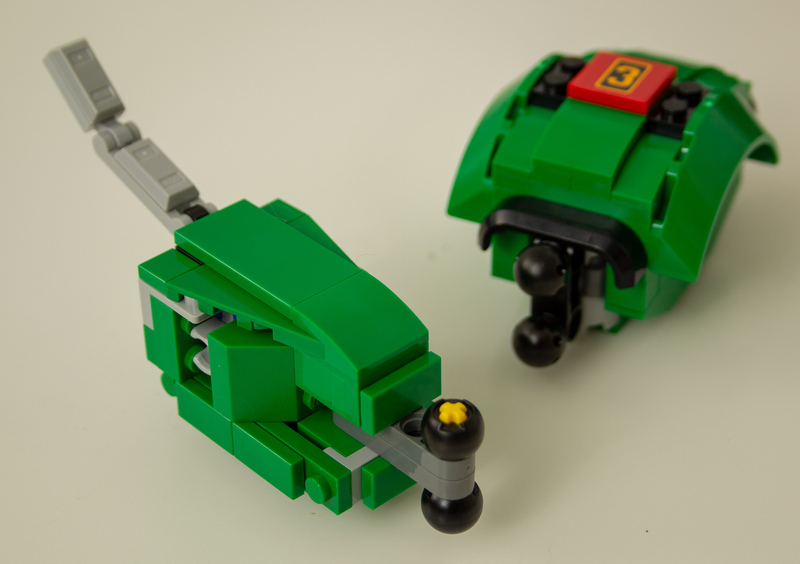 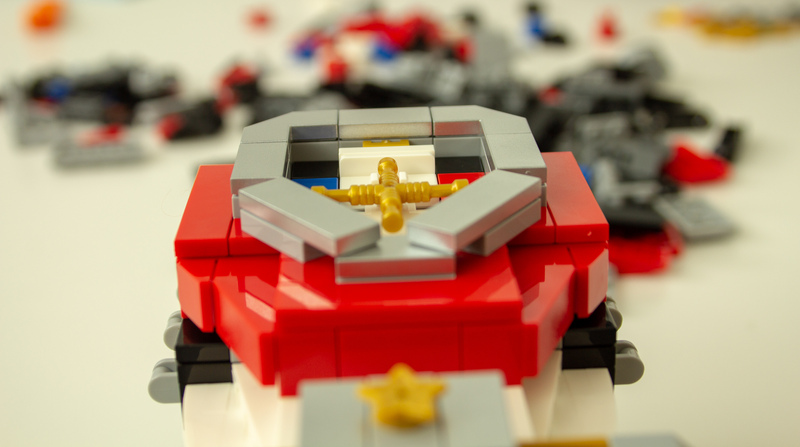 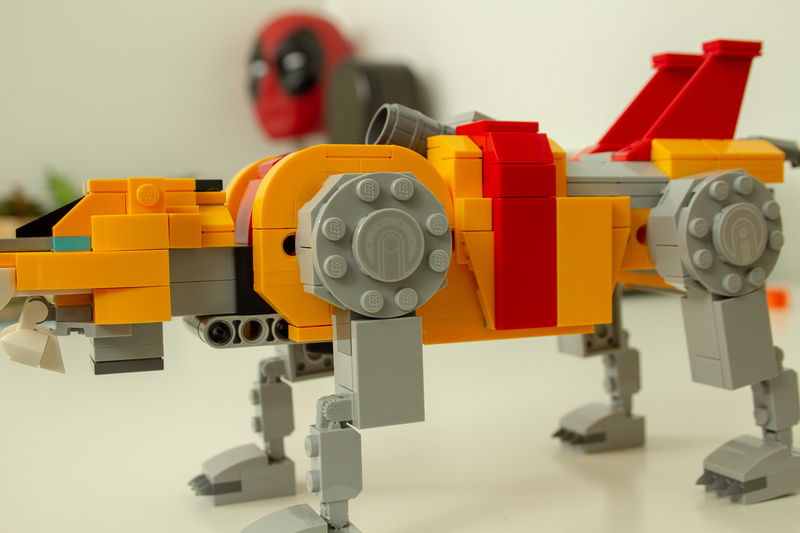 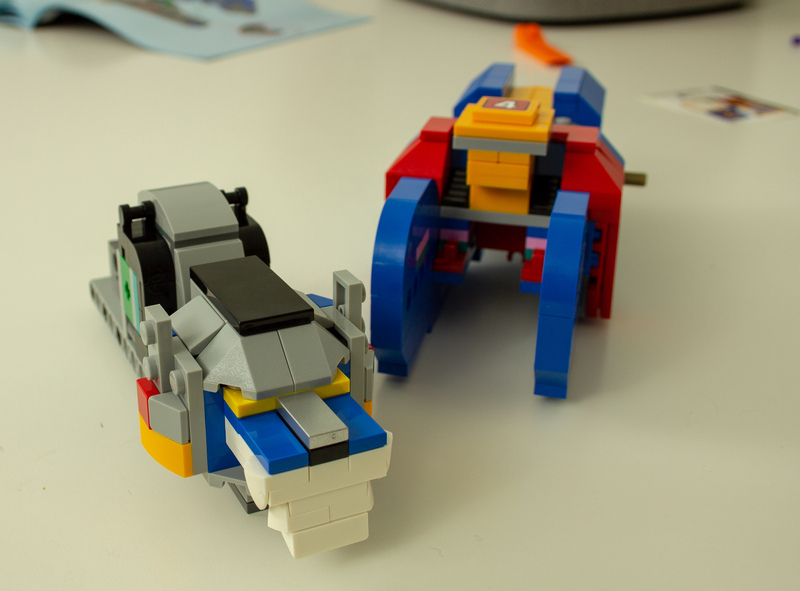 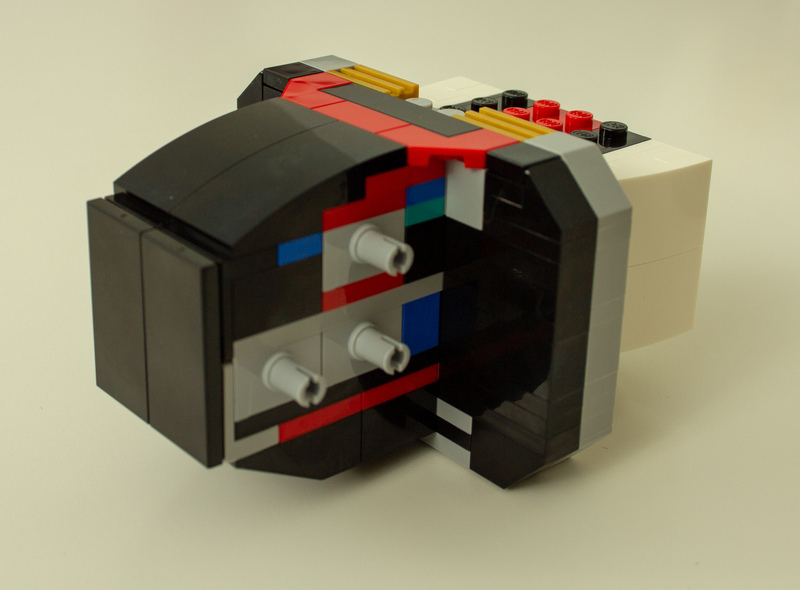 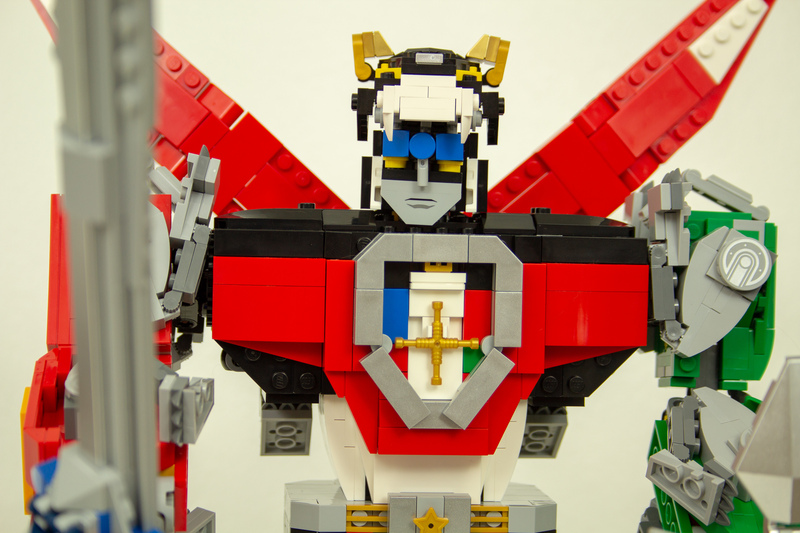 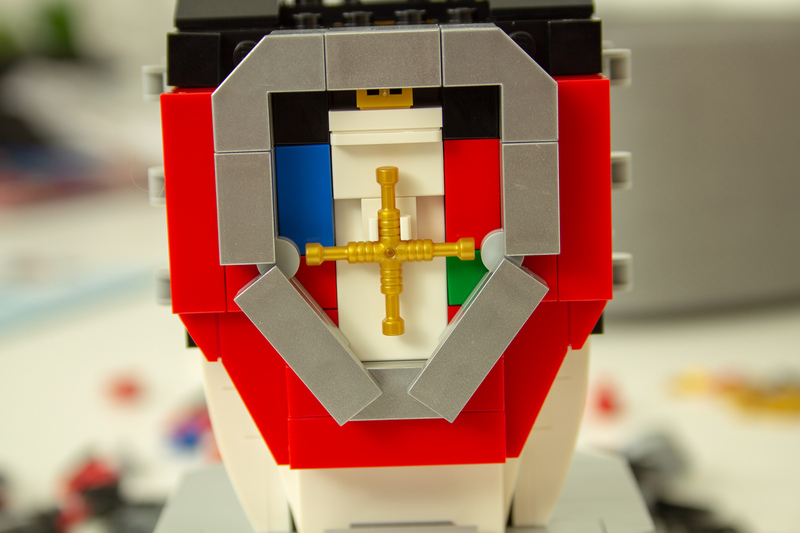 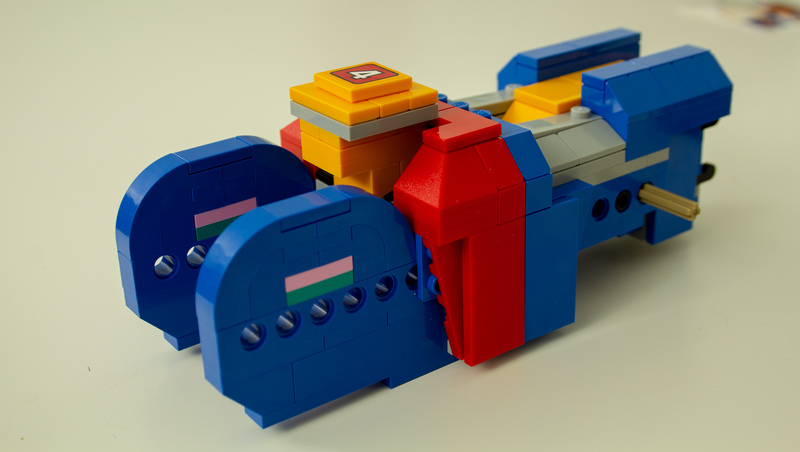 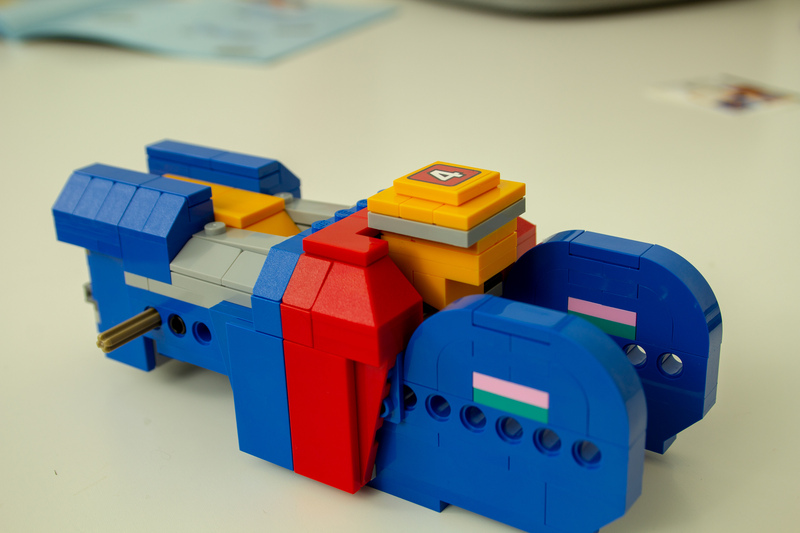 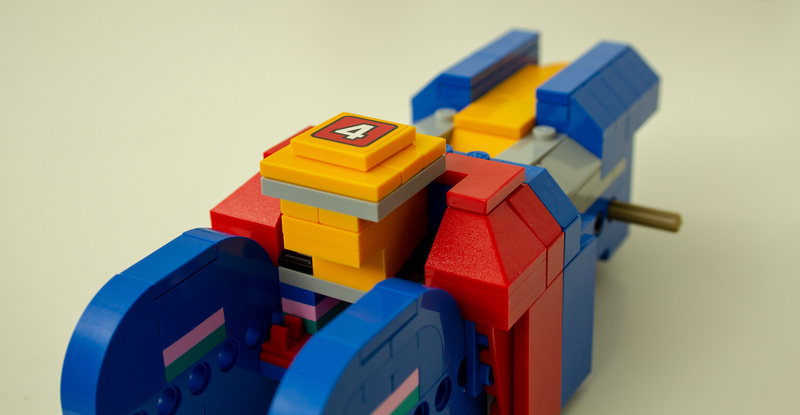 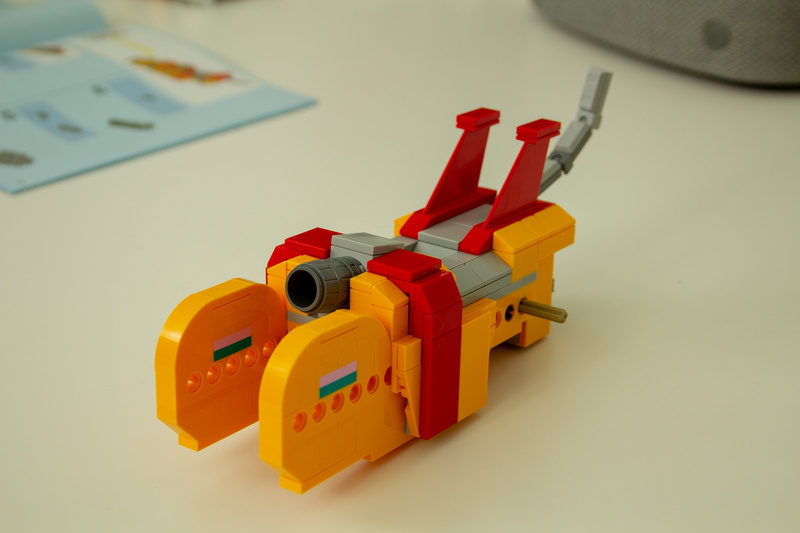 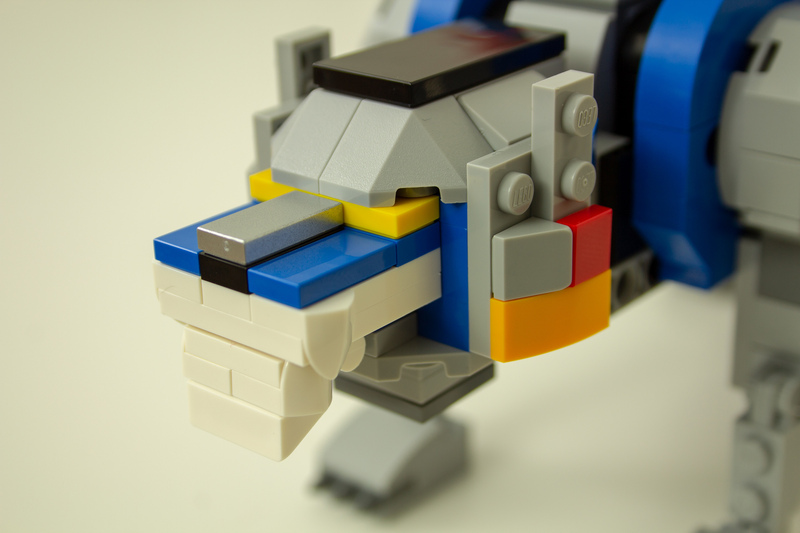 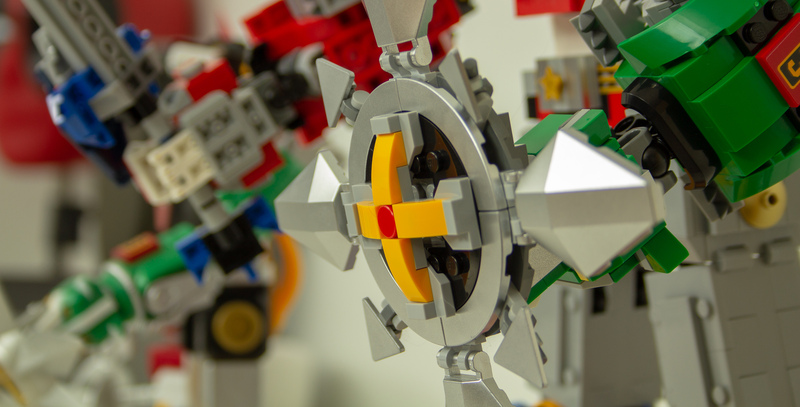 LEGO Voltron is an exception to the rule. 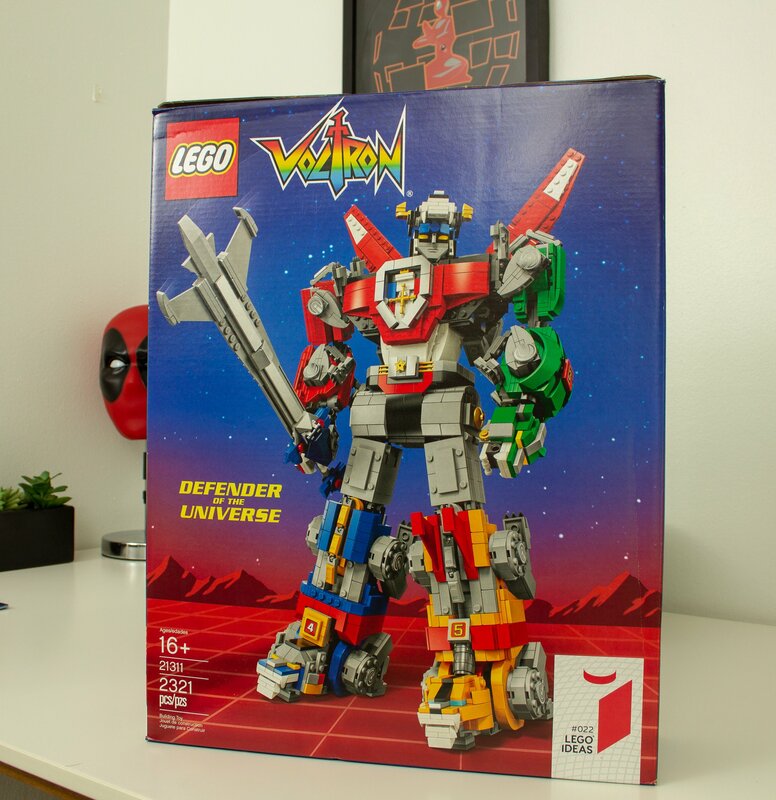 And while I can’t tell you that you’ll enjoy putting together LEGO Voltron even if you’re not a Voltron fan, I can say that as someone who doesn’t typically dig into LEGO stuff, it was more than worth it to pick up a set that tickled me like Voltron, and it was $180 very well spent. 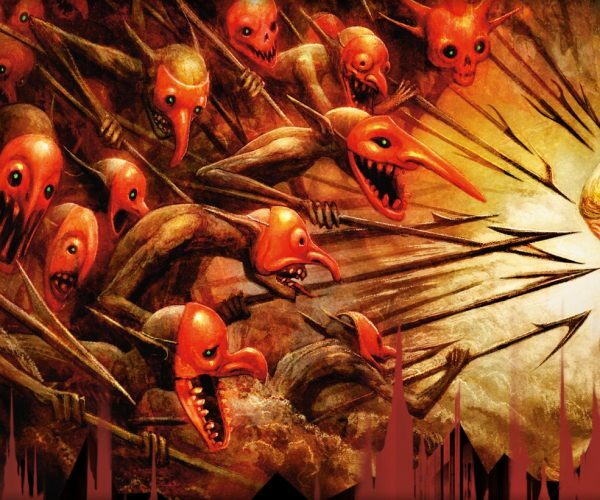 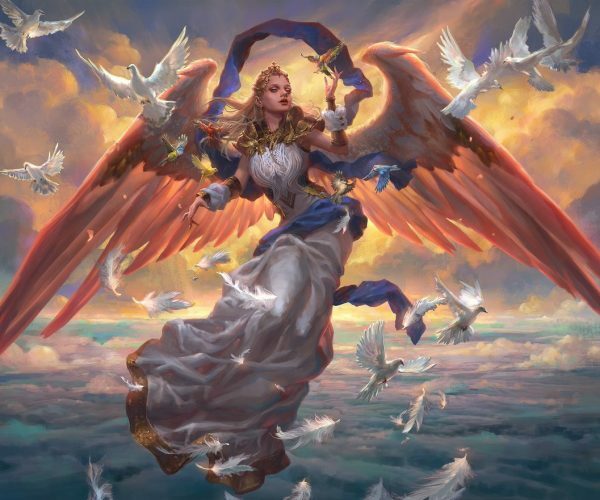 Magic Arena Pauper Events – Selesnya “Go Wide” Auras for the Win!